2019-20 Incoming Kindergarten Parent Meeting tonight, 5:45-6:30 PM Elementary school library. Parents only. No daycare provided. Enrollment requirements, Pre-Enrollment Procedures, school health information, transportation policies, and screening procedures will be discussed. Please bring any questions or concerns. 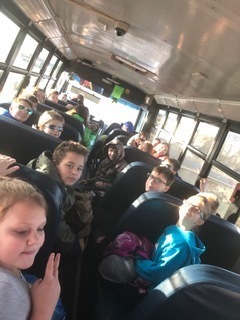 Any questions, please feel free to call the Hiawatha Elementary School at 785-742-7181. 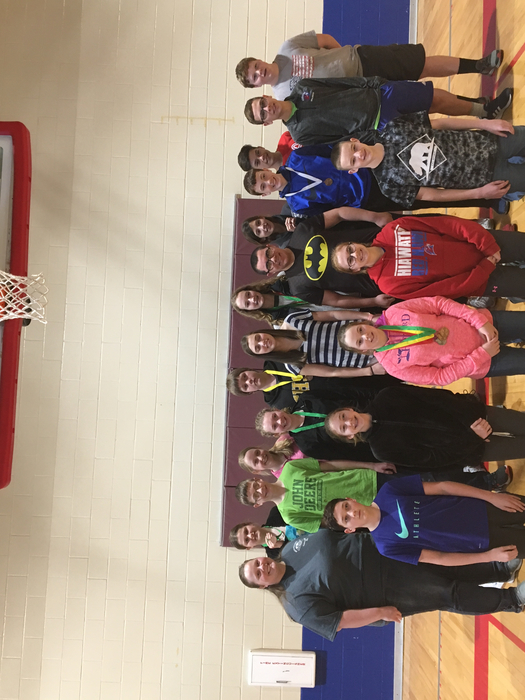 REMARKABLE REDHAWK KIDS: Congratulations to the HMS Remarkable Red Hawks for March! The Remarkable Red Hawk program recognizes students, staff, and teachers who demonstrate excellence in a number of ways at HMS. At the end of each month, one student from the fifth and sixth grades and one student from the seventh and eighth grades are randomly selected from all nominations during that month from students, teachers, and staff. Awardees receive a gift card sponsored by Citizens State Bank & Trust and Morrill & Janes Bank, a certificate of excellence, and a Remarkable Red Hawk t-shirt. We are SO proud of all our Remarkable Red Hawk nominees! Their many accomplishments and achievements do not go unnoticed! Last night, the 9th of April, the HHS Track Team traveled to ACCHS for their invitational meet where the girls brought home a first place team finish. There were also multiple individual triumphs. Jasmine Morey took first place in both the 1 and 2 mile races, and Brode Jones took first place in discus. Along with many other first and second placings, the Hiawatha Track Team had a very successful night. 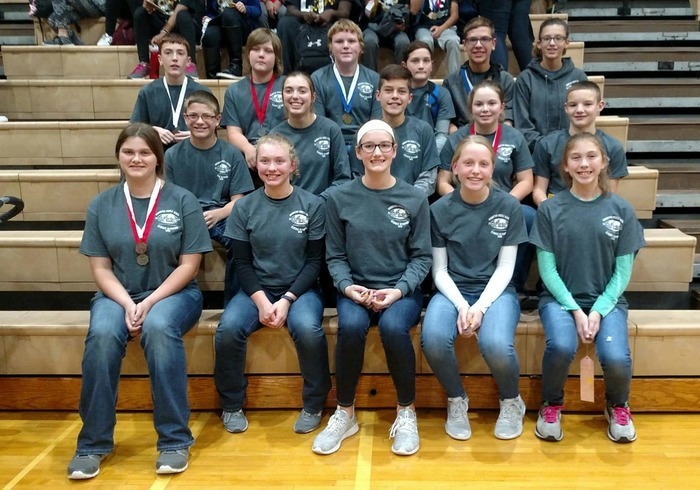 HMS Science Olympiad State results- We are very proud of these students and community leaders. Their hard work was recognized by the placement they earned at State. 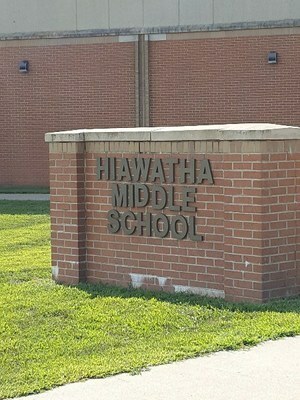 Hiawatha Middle School placed 15th out of 66 middle schools in the state of Kansas. Congrats to all! The Remarkable Red Hawk program recognizes students, staff, and teachers who demonstrate excellence in a number of ways. We would like to congratulate Nurse Erin Winger She received a gift certificate sponsored by GN Bank and a certificate of excellence. 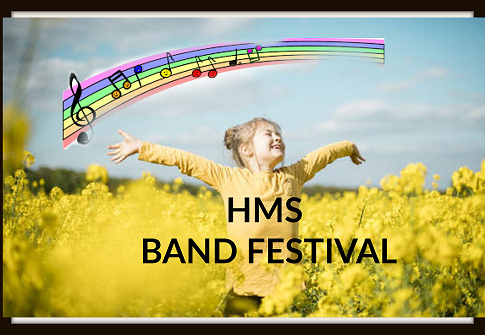 This Saturday, April 13th is our annual Middle School Band Festival! 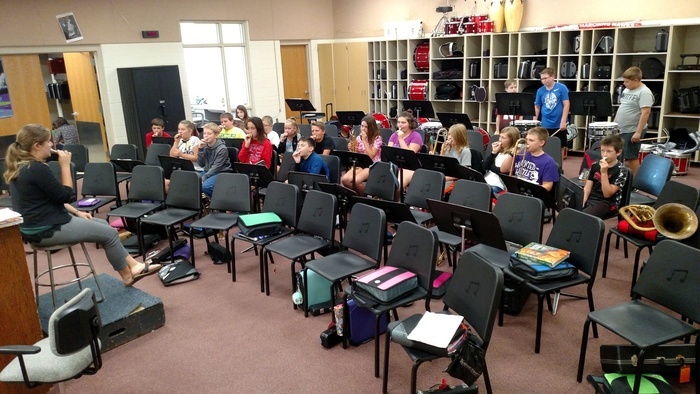 Hiawatha's 7th/ 8th Grade Band performs at 8am in the High School Auditorium. 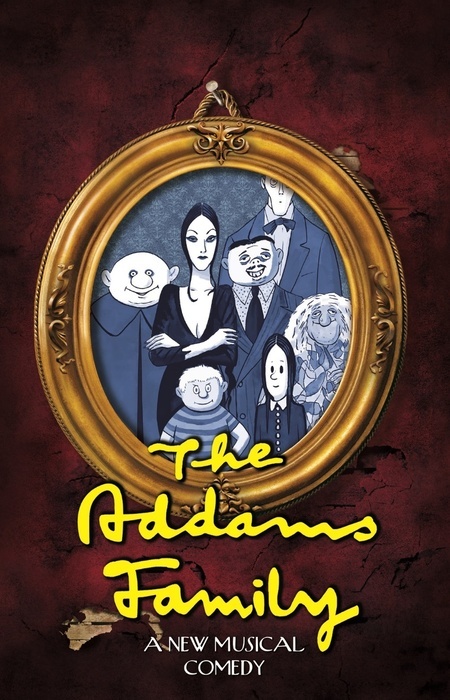 If you'd like to come see them perform, you must enter the auditorium BEFORE 8 as no one will be allowed to enter once the ensemble has begun." 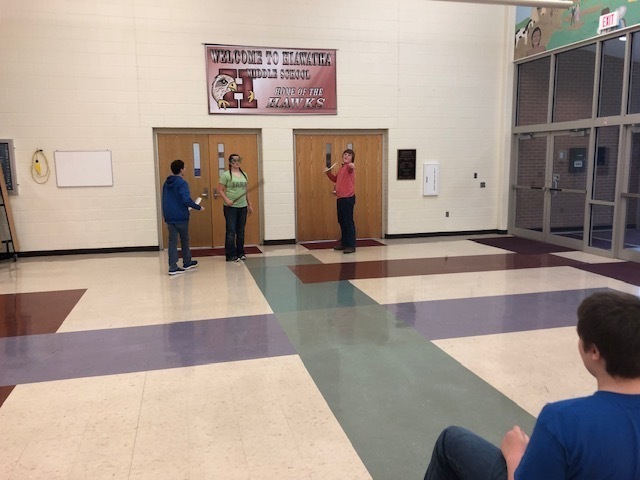 On May 1 the Red Hawk marketing team is planning on producing a “lip dub” involving the student body and staff of HHS dancing, singing, and having a great ol’ time! 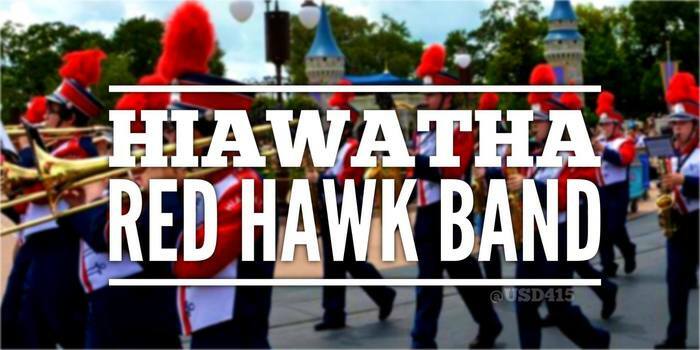 Also don't forget to wear your red white and blue to show your redhawk pride! Practice for the lip dub will take place on April 30th! The HHS student body has elected its executive STUCO board for the 2019-2020 school year. Michael Abeita will serve as President, August Koerperich as VP, Maggie Saul as treasurer, Brenna Diller as secretary and Kate Madsen as reporter. Congratulations! 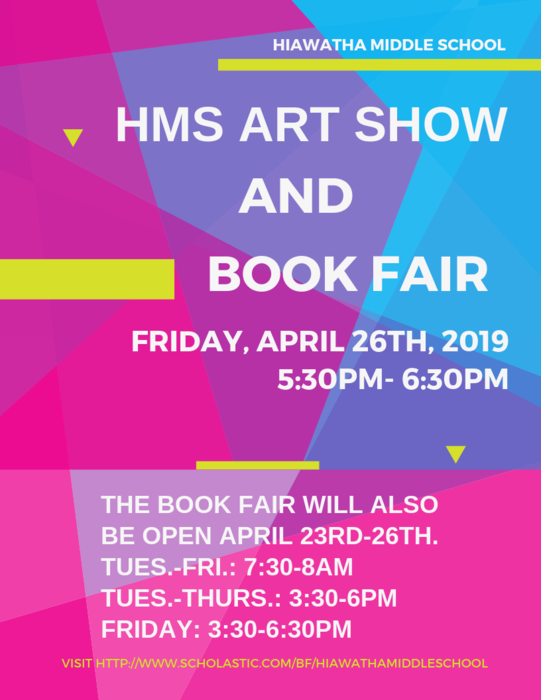 The Hiawatha Middle School Art Show and Book Fair will be Friday, April 26th at the middle school from 5:30-6:30pm. Please come check out the hard work our art students have put into their projects this year. The Scholastic Book Fair will be going on throughout the week. The book fair will be open April 23rd-26th. Times for the Scholastic Book Fair are listed on the flyer. We look forward to seeing you there! Tonight is the first home track and field meet of the season, come support your local Red Hawk runners, jumpers, and throwers! Throwing events start at 4:30 and running starts at 5:30, go Hawks! 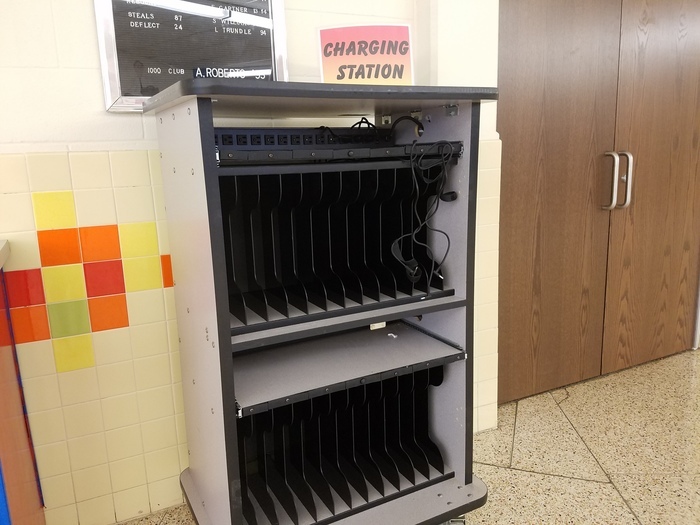 NEW CHARGING STATION Has your school laptop been dying halfway through the day? Well, you’re in luck! HHS has a new charging station located in the commons. You can use your lunch time to charge your computer up before you go to your next class! This month at HHS, students are focused on the idea of diversity. Many different people have been sharing their backgrounds and what makes them fit in with the HHS student body. 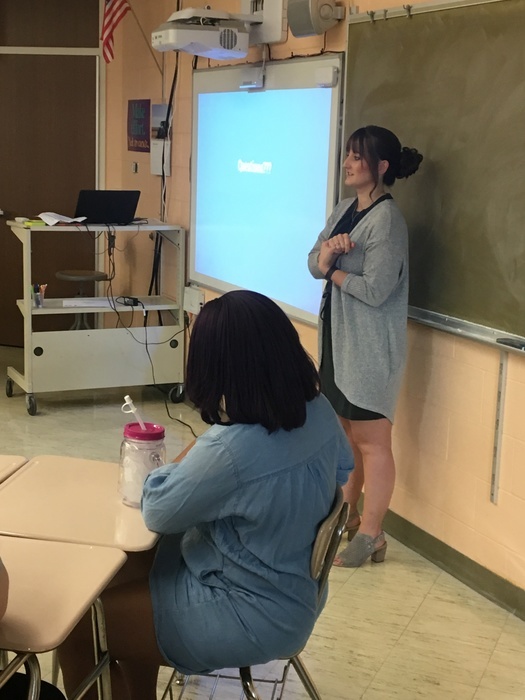 Every Wednesday in the month of March, students take part in activities based around diversity and acceptance of others for exactly who they are. 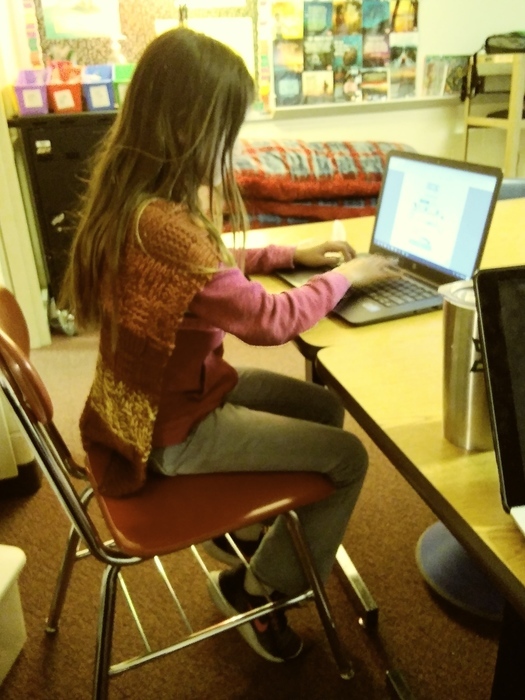 Each morning a different student does announcements; however, before they do, they all share a bit about themselves, showing how they fit in with all of us as one. 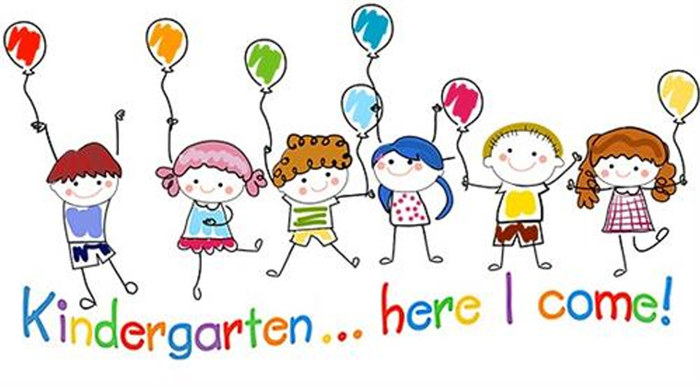 2019-20 Incoming Kindergarten Parent Meeting Monday, April 15, 5:45-6:30 PM Elementary school library. Parents only. No daycare provided. Enrollment requirements, Pre-Enrollment Procedures, school health information, transportation policies, and screening procedures will be discussed. Please bring any questions or concerns. 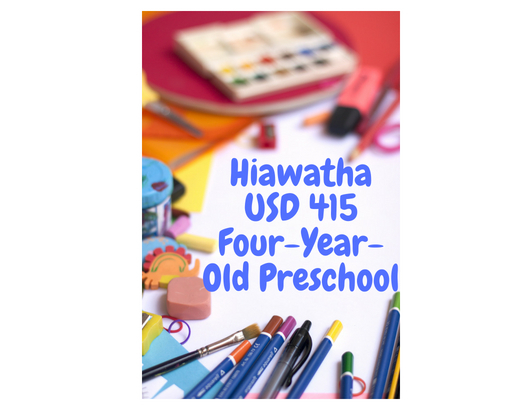 Any questions, please feel free to call the Hiawatha Elementary School at 785-742-7181. Congratulations to Jenna Madere, Kate Madsen and Claire Geiger for placing at regional journalism competition! Good luck at state!! 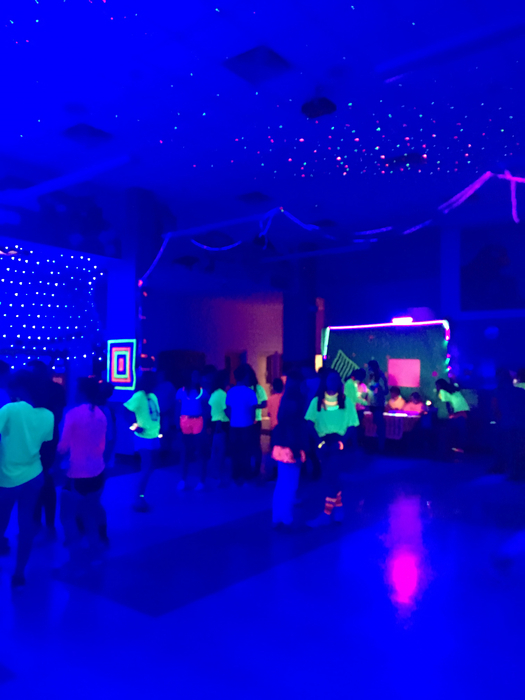 HMS 7th and 8th grade students rocked the dance floor tonight. Great job, Student Council! 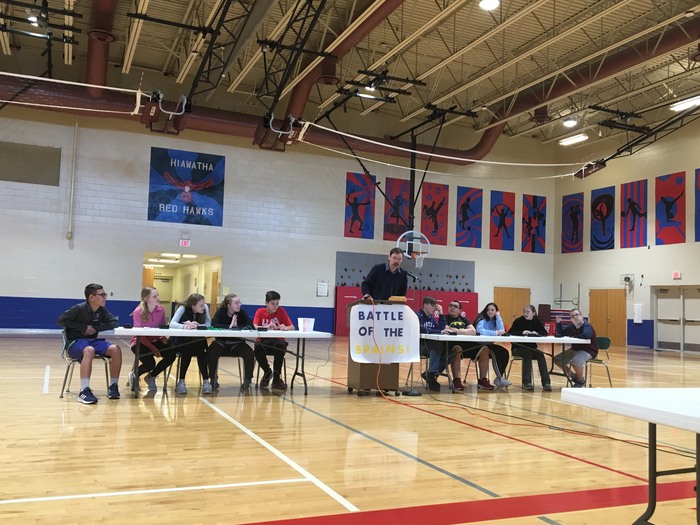 HMS Red Hawks enjoyed an afternoon of friendly competition between Scholar’s Bowl and Science Olympiad. In addition, we recognized our Science Olympiad team for a successful regional competition. They are headed to STATE! Way to go, Red Hawks. We are so proud of you! 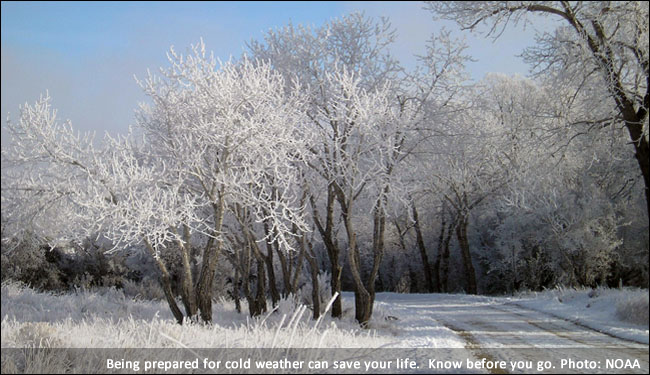 Get ready for some useful information on everyday situations! This Friday, Hiawatha High School is hosting Ready For Life Day. This event has different stations that contain information regarding important life skills otherwise not taught in high school, such as changing a tire, making home cooked meals and self defense. The Red Hawks are rowdy, and ready to learn these Ready for Life skills! BAHAMAS SENIORS RETURN TO THE STATES After spending spring break in the Bahamas, Biology Club seniors and sponsors returned early Tuesday morning. 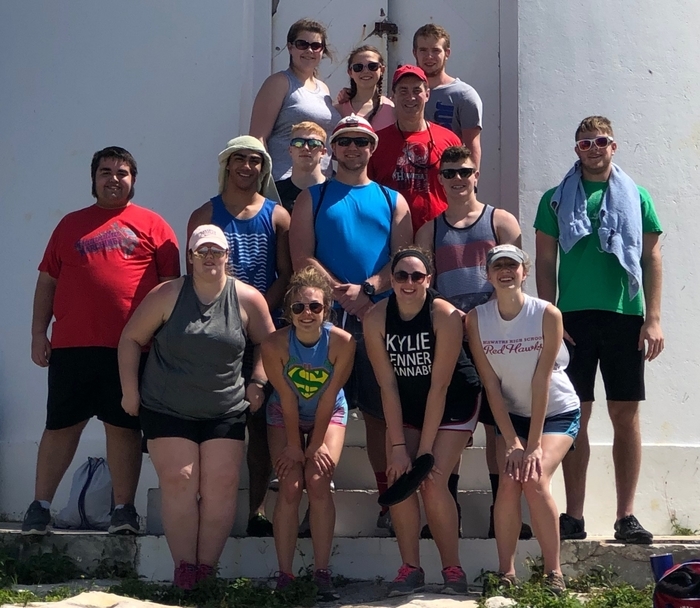 The trip involved deep sea fishing, snorkeling in various reefs, visiting a bat cave, hiking up to a lighthouse, visiting the remnants of John Watling’s castle, and tide pool investigations. Sponsor Kylee Reschke stated, “We were able to go to several different beaches on the island… so we saw a large variety of fish and sea life. 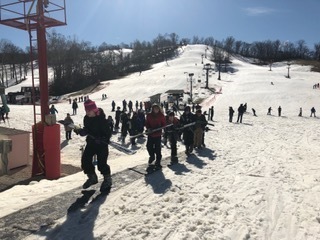 As far as the trip in general, we had a really good trip… the students wanted to do everything that we did.” Senior Jack Tesoriero said, “I actually learned a ton and a lot more than I expected… Yeah, it was sick. It was amazing.” What stays in the Bahamas. 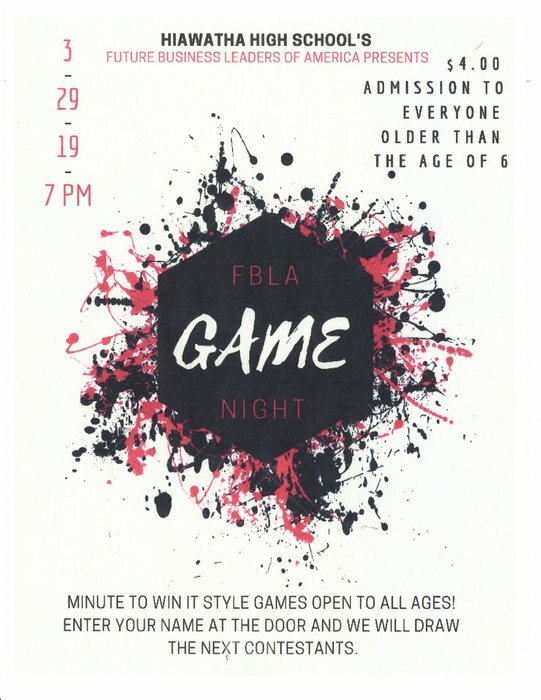 Hiawatha High School FBLA will be hosting a game night Friday March 29 7 PM Hiawatha High School. Bring your smile to HMS April 1. Inter-State will be here to take your photo. To order online please visit inter-state.com/order and use order code: 37917YB or pay April 1st. HMS is proud to announce the February winners of the State Farm Citizenship Award, sponsored by State Farm Insurance- Ryan Meininger. Nominated by middle school instructors, one student from each grade level is selected. These students have demonstrated exceptional characteristics of respect, responsibility, manners, and thoughtfulness. They are recognized for great citizenship both in and out of school. We are very proud of them. Congratulations to all!! NO SCHOOL!! Friday March 8!! Watch it NOW! Vines re-created and reacted to. https://youtu.be/XiSZLrbQ0lk Funny stuff. 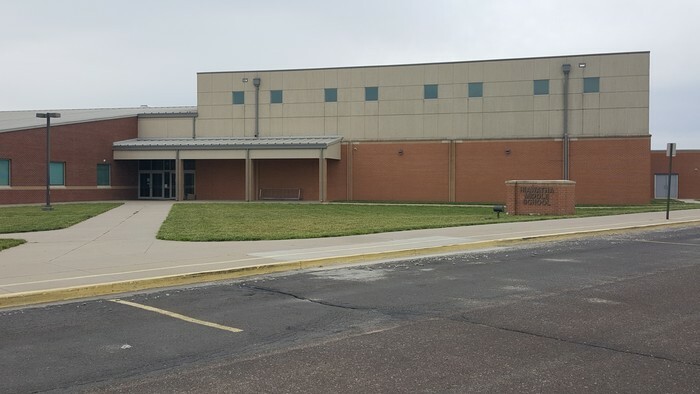 In order to ensure we meet minimum attendance requirements, USD 415 has scheduled April 22, 2019 as a make-up day. School will be in session and run a regular schedule. I know you join us in the anticipation of warmer weather. Thank you for your flexibility. 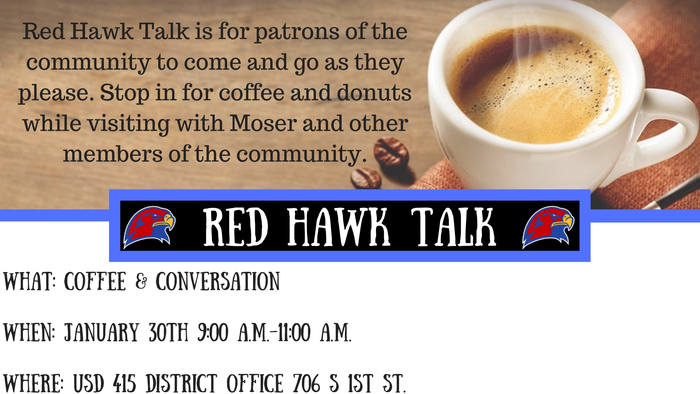 Red Hawk Talk tomorrow morning 9 am -11 am, stop in and visit with Mr. Moser and other members of the community. There will be NO breakfast tomorrow and No VoTech bussing. 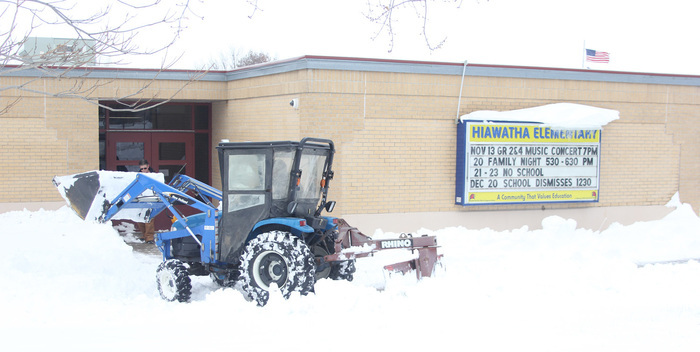 Hiawatha USD 415 will start classes two (2) hours late tomorrow March 4. There will be NO morning Pre School class. Check out the latest edition of the Red Hawk (P)review by clicking on the link below https://youtu.be/4od6gQF7Veg Browse the channel and click subscribe to see other amazing content, including the 2019 Winter Senior Night! The Remarkable Red Hawk program recognizes students, staff, and teachers who demonstrate excellence in a number of ways. We would like to congratulate January’s recipient Mrs Woods. She will received a gift certificate sponsored by GN Bank and a certificate of excellence. Congratulations to the HMS Remarkable Red Hawks for January! The Remarkable Red Hawk program recognizes students, staff, and teachers who demonstrate excellence in a number of ways at HMS. 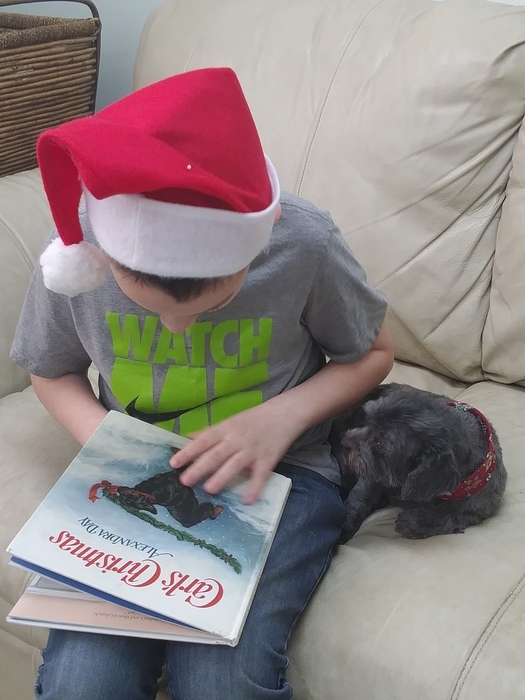 At the end of each month, one student from the fifth and sixth grades and one student from the seventh and eighth grades are randomly selected from all nominations during that month from students, teachers, and staff. Awardees receive a gift card sponsored by Citizens State Bank & Trust and Morrill & Janes Bank, a certificate of excellence, and a Remarkable Red Hawk t- shirt. We are SO proud of all our Remarkable Red Hawk nominees! Their many accomplishments and achievements do not go unnoticed! Hiawatha Boys will play at 6:00 pm on Friday March 1 against Maur Hill. Semi-final game will be played at Marysville. Its a great day to be a Red Hawk! 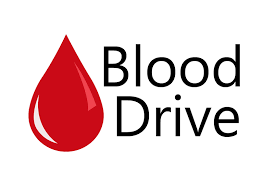 On Tuesday, March 5th, HHS STUCO will be holding a blood drive in the auditorium from 9:00 am to 2:00 pm. Due to the extreme shortage of blood, the drive will be open to both students and adults from the community. 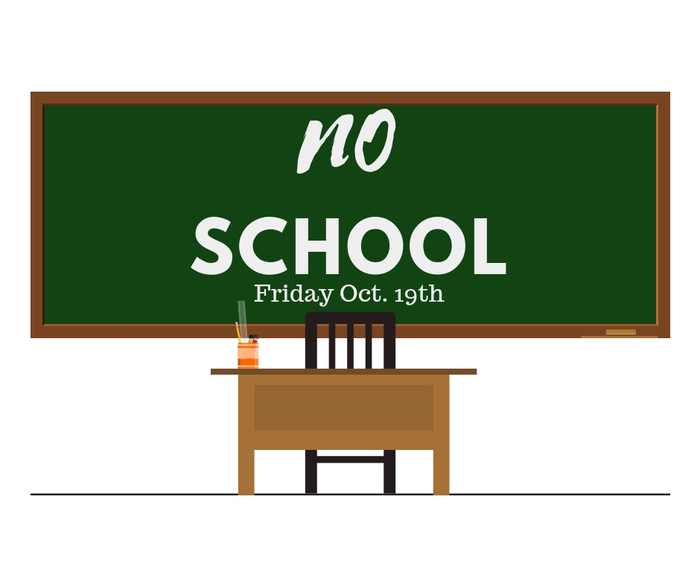 Students who are 16 will have permission sheets sent home to be signed by parents/guardians, and adults will just need to check into the office before donation. (If you could RSVP, that would be great so we could get a general headcount. Call the High School at 742-3312 and ask for Mr. Diller. BUT, If you don’t RSVP, you can still donate!) . Please come and donate blood to save a life! 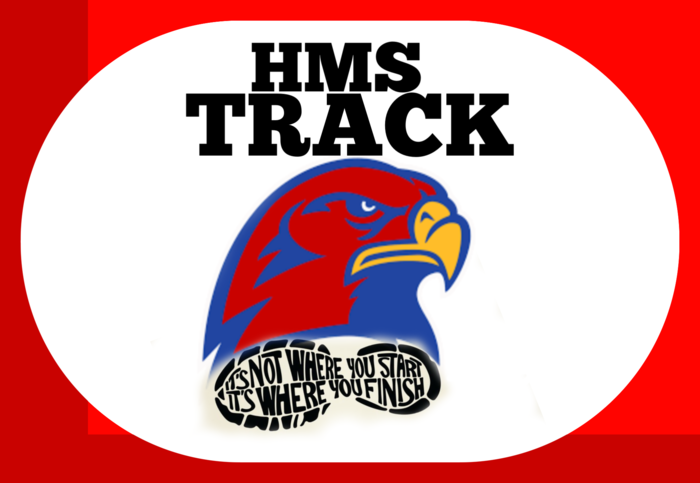 HMS track practice will start March 18th after school. Parent meeting will be at 5:45 pm that day. HS Girls Basketball will play first round of Sub-State Basketball at Sabetha tonight. Tip-off is at 7:00. Come support the Lady Red Hawks! 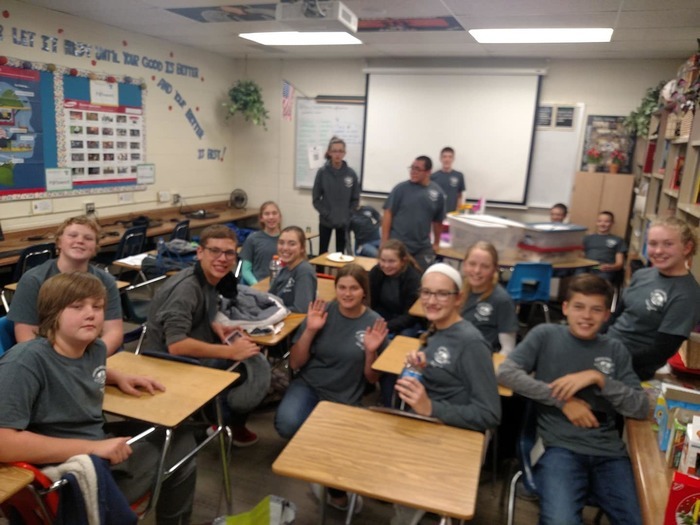 HMS 1st Scholars Bowl meet at Jeff West. 7th and 8th grade teams brought home the gold. Congratulations! 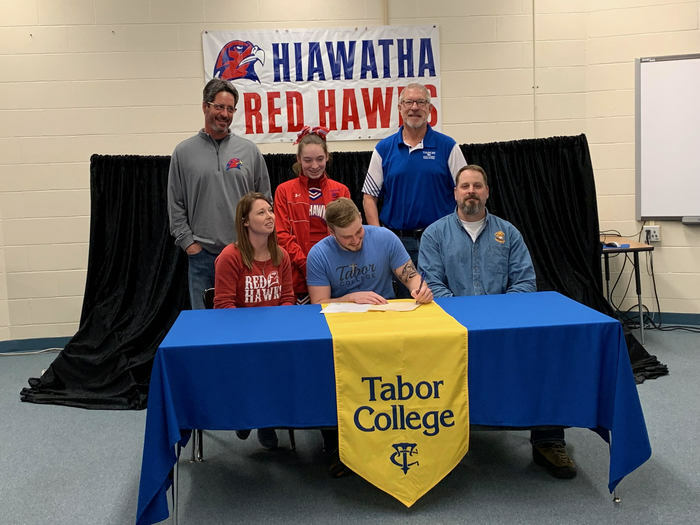 Thursday, February 21st, Brode Jones signed an agreement to attend Tabor College to throw discus on their track team. Hiawatha USD 415 will not be holding classes on Wednesday February 20th due to weather conditions. 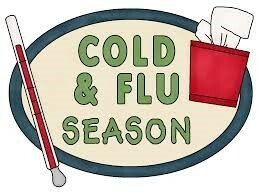 Parents, please remember that students should be fever free, without medication, for 48 hours before returning to school. We are seeing an increase in illnesses." 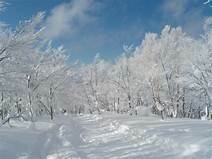 Hiawatha USD 415 will not be holding classes on Tuesday, February 12th due to the weather conditions. Due to declining weather conditions Hiawatha USD 415 will dismiss at 12:00pm today. Congratulations to the Brown County Spelling Bee participants! The Champion will move on to the next round in Wichita, KS. 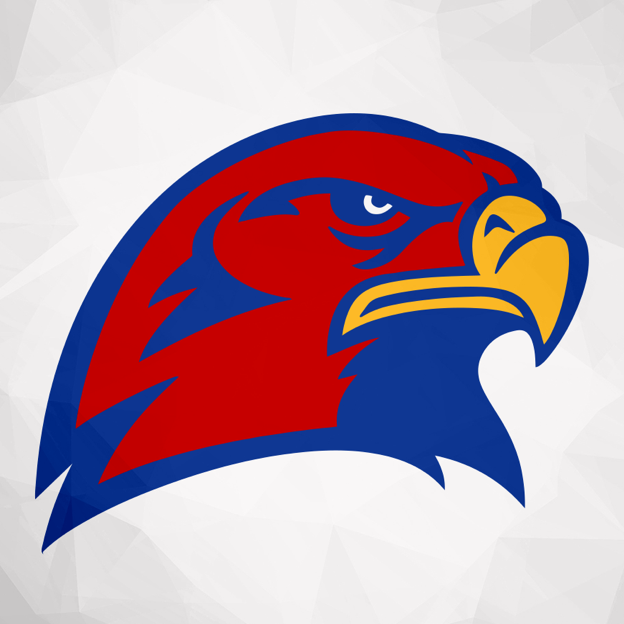 Tonight the Hiawatha Redhawks are battling the Royal Valley Panthers in a basketball game tonight at 4:30 with the JV boys at the high school and JV girls at the middle school. Then Varsity girls play at 6:00 and the varsity boys play at 7:30 both at the highschool. During the varsity boys half time the winter homecoming crowning will take place. Then after the game starting at ten the students will dance the night away at the winter formal homecoming dance till the clock strikes 12! 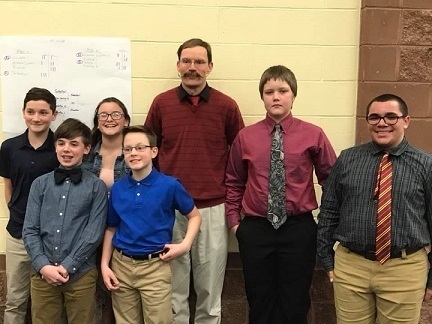 State Farm Citizenship Award: HMS is proud to announce the January winners of the State Farm Citizenship Award, sponsored by State Farm Insurance- Ryan Meininger. Nominated by middle school instructors, one student from each grade level is selected. These students have demonstrated exceptional characteristics of respect, responsibility, manners, and thoughtfulness. They are recognized for great citizenship both in and out of school. We are very proud of them. Congratulations to all!! 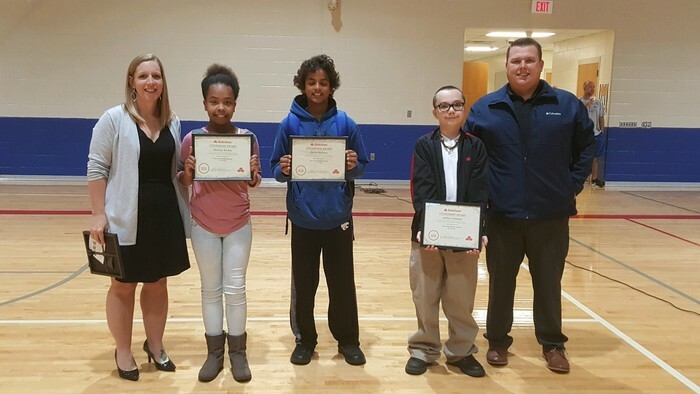 State Farm Citizenship Award: HMS is proud to announce the December winners of the State Farm Citizenship Award, sponsored by State Farm Insurance- Ryan Meininger. Nominated by middle school instructors, one student from each grade level is selected. These students have demonstrated exceptional characteristics of respect, responsibility, manners, and thoughtfulness. They are recognized for great citizenship both in and out of school. We are very proud of them. Congratulations to all!! HHS Friday Basketball & Winter Homecoming Activity Schedule v. Royal Valley 4:30- JV Girls @ HMS 4:30- JV Boys @ HHS 6:00- V Girls @ HHS 6:00- Freshmen/C Boys @ HMS 7:30- V Boys @ HHS 7:30- Freshmen/C Girls. @ HMS Halftime of Boys Varsity-Homecoming Crowning 10:00-12:00- Winter Homecoming Dance Go Red Hawks!! Due to weather conditions Hiawatha USD 415 will be closed tomorrow February 7th. Due to weather conditions Hiawatha USD 415 will dismiss at 1:30pm today. Our very own Hiawatha Red Hawk Laila Jones is on the move to bigger and better things! On January 31st she was surrounded by friends and family as she signed on to cheer at Highland Community College for her freshman year! Red Hawk Talk is still scheduled for tomorrow morning. 9am-11am Board of Education Office. 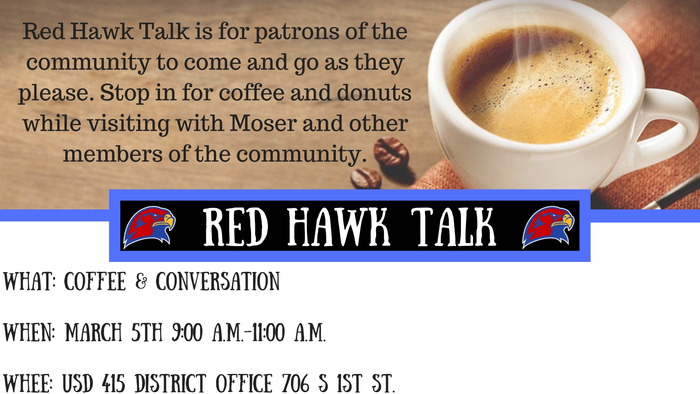 Red Hawk Talk continues this month. Stop by the Board of Education Office 706 S 1st St. Wednesday January 30th 9 am - 11 am and visit with Mr. Moser and other members of the community. 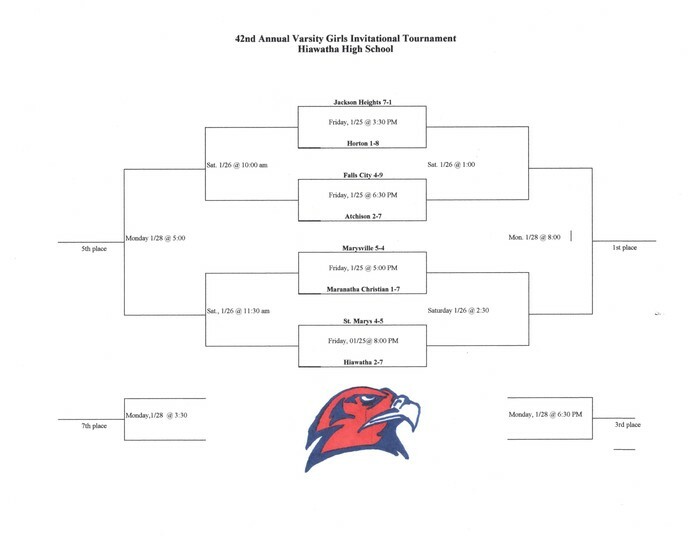 HHS Basketball Schedule for Monday, Jan. 28th Hiawatha Girls Invitational Tournament 3:30. Horton v. Maranatha 5:00. 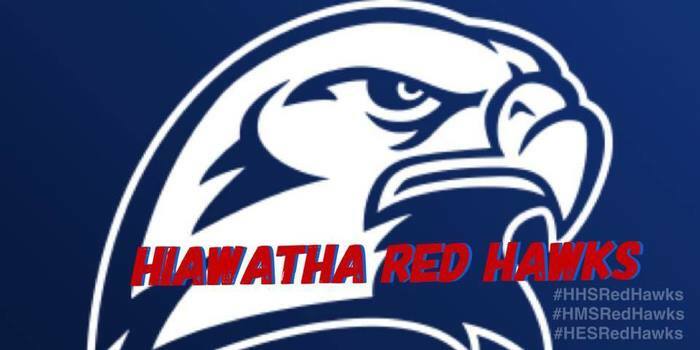 Hiawatha v. Atchsion 6:30 St. Marys v. Falls City 8:00 Marysville v. Jackson Heights 6:30 Varsity Boys v. St. Marys at Hiawatha Middle School Go Red Hawks! 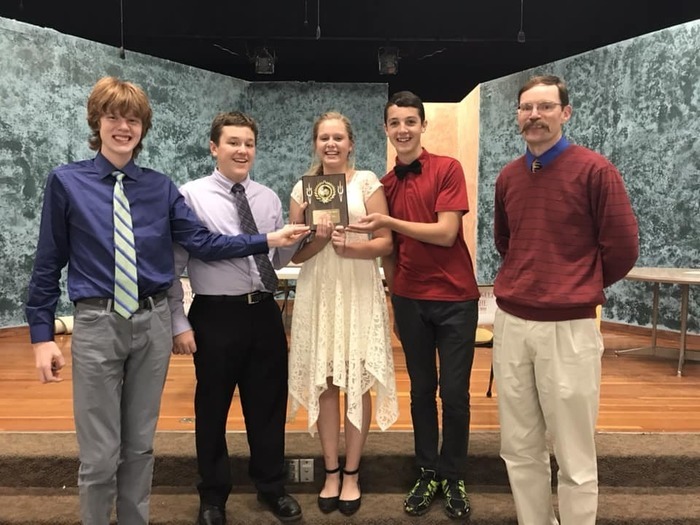 February 2, the Hiawatha High School Forensics Team will travel to Nemaha Central to compete in their second meet of the Forensics season. 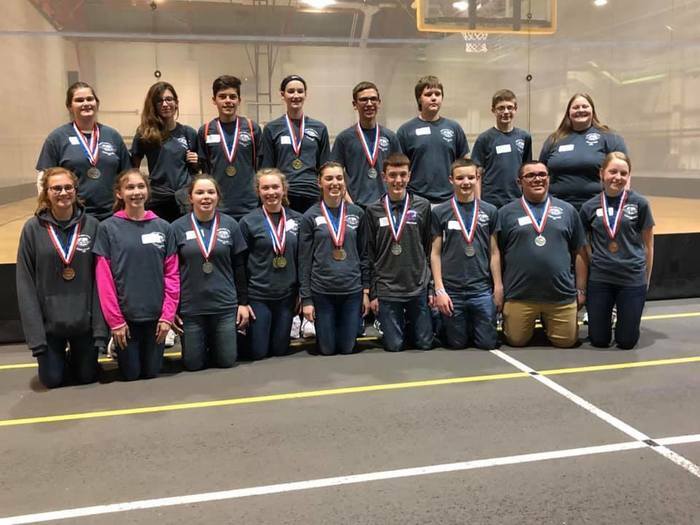 Hiawatha High School varsity Scholar's Bowl members will travel to Council Grove on January 31st to compete in the Regional Scholar's Bowl Meet. 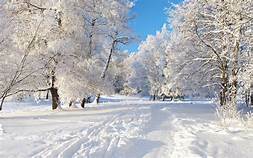 Due to weather conditions Hiawatha USD 415 will not be holding classes on Friday January 25. HS Varsity Boys basketball with St. Marys has been postponed until Monday Jan. 28th. Game will be played in the middle school, time will be determined. Hiawatha Girls Invitational Tournament has been postponed tonight. The first round will be played Friday, second round Saturday and Final Round on Monday. Hiawatha USD 415 will not be holding classes on Wednesday January 23 due to the weather conditions. As the weather conditions continue to decline Hiawatha USD 415 will now dismiss at 11:30AM. We are extremely sorry for the inconvenience but the safety of our students and staff is of utmost importance. Lunch will be served and buses will run regular routes. Tonight Hiawatha Invitational Basketball Tournament has been rescheduled for first round on Thursday, second round on Friday and finals on Saturday as scheduled. 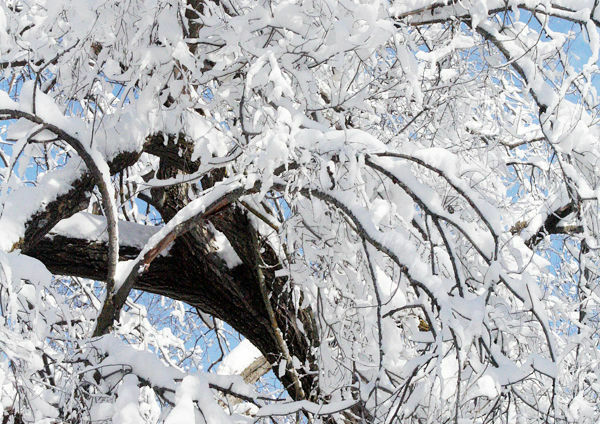 Due to impending weather Hiawatha USD 415 will dismiss school at 12:00pm today. Lunch will be served and buses will run regular routes. Congratulations to Mr. Darrin Arment, the HMS Remarkable Red Hawk Teacher for the month of December! The Remarkable Red Hawk program recognizes students, staff, and teachers who demonstrate excellence in a number of ways. Mr. Arment received a gift certificate sponsored by GNBank and a certificate of excellence. 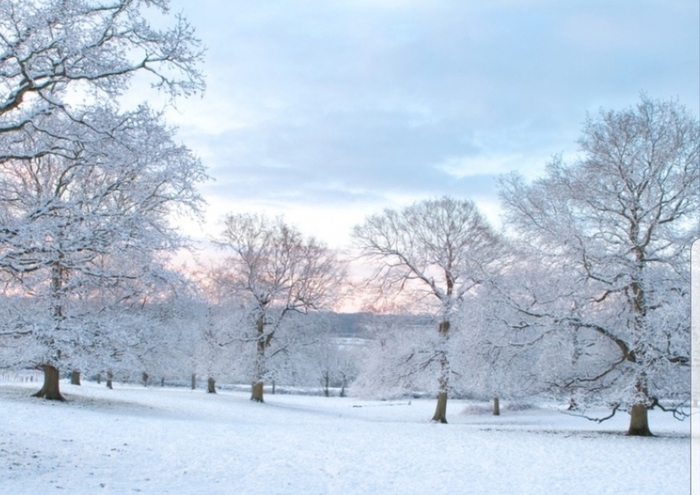 All after school activities are canceled for tonight. Due to impending weather Hiawatha USD 415 will dismiss at 12:45pm. Lunch will be served and buses will run regular routes. 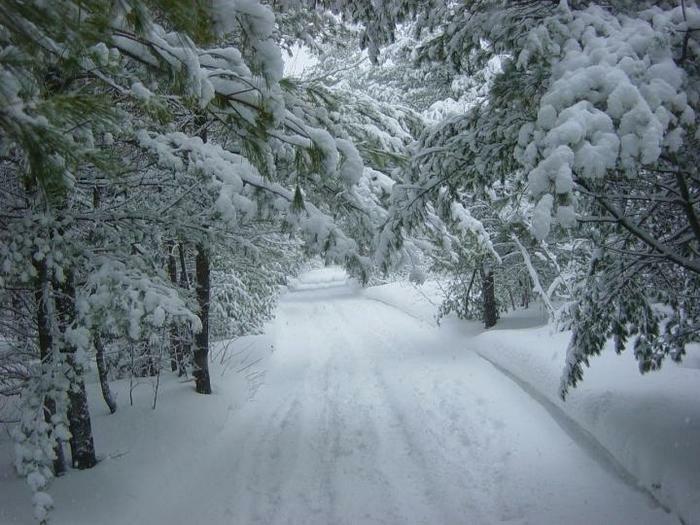 HS Girls Basketball with Horton on Friday night, Jan. 18th has been postponed due to weather. The games are rescheduled for Jan. 31st in Hiawatha with a 6:00 pm start. JV girls will play 2 quarters followed by the varsity girls. 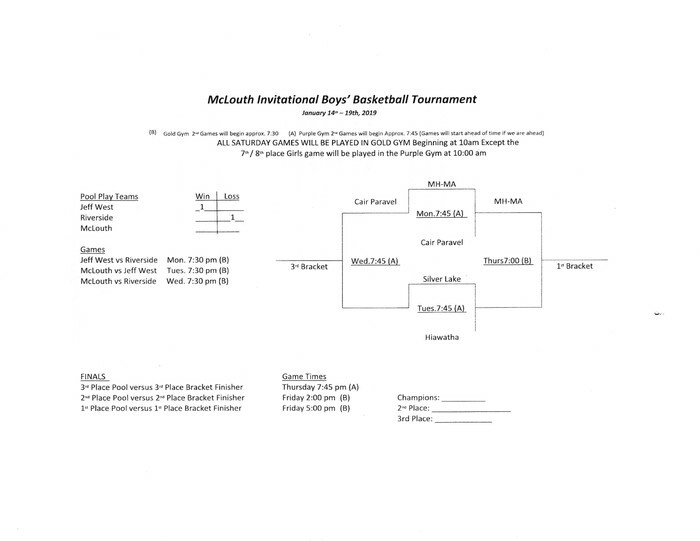 McLouth Tournament Update: Silver Lake 75-61 Hiawatha Boys play tonight at 7:45 v. Cair Paravel Go Red Hawks! 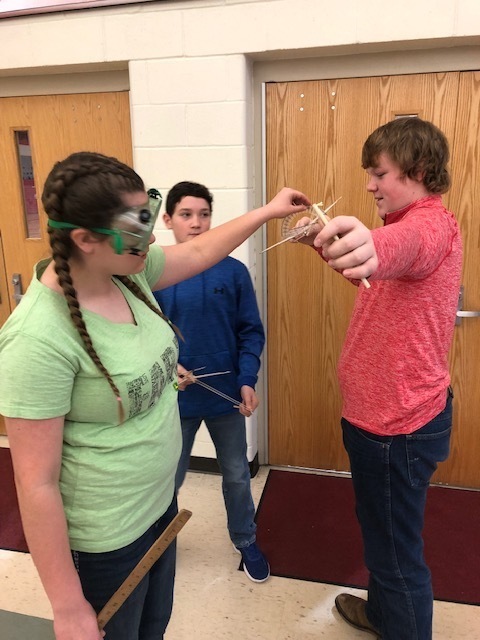 The HMS Science Olympiad team is busy practicing with their elastic gliders this morning. Get that distance! 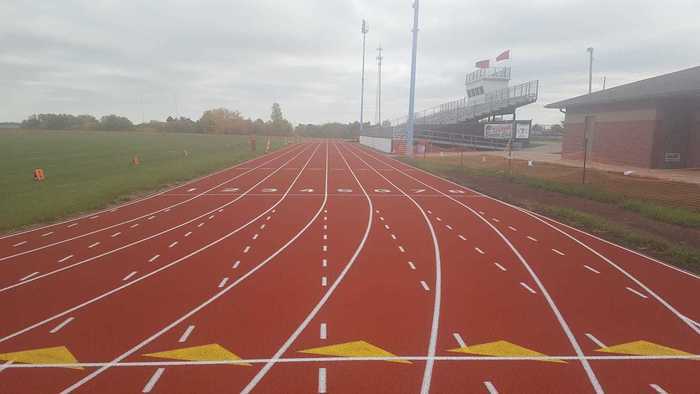 There is an invitational meet this Saturday at Monticello Trails Middle School. GOOD LUCK, team and Coach Thacker! The HMS Spelling Bee was held last Friday at the high school auditorium. CONGRATULATIONS to all those who participated and to our finalists! Congratulations to the HMS Remarkable Red Hawks for December! The Remarkable Red Hawk program recognizes students, staff, and teachers who demonstrate excellence in a number of ways at HMS. 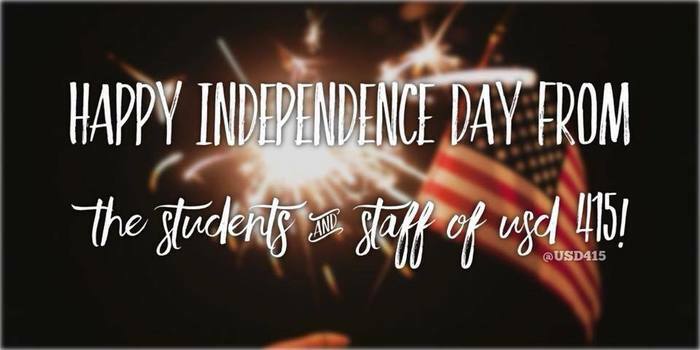 At the end of each month, one student from the fifth and sixth grades and one student from the seventh and eighth grades are randomly selected from all nominations during that month from students, teachers, and staff. Awardees receive a gift card sponsored by Citizens State Bank & Trust and Morrill & Janes Bank, a certificate of excellence, and a Remarkable Red Hawk t-shirt. We are SO proud of all our Remarkable Red Hawk nominees! Their many accomplishments and achievements do not go unnoticed! 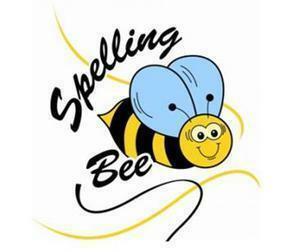 The HMS Spelling Bee will be held this Friday (Jan. 11th) at the HHS Auditorium at 9:30am! 17 students will participate and they welcome their family and friends to attend! See you t-h-e-r-e! Students and Parents: On Wednesday, January 9th, motivational speaker and founder of Champion of Choices, Marc Mero, will be presenting to students in grades 7-12. His one hour presentation will highlight the importance of positive life choices and resiliency, while empowering students to make a difference. [Directly from thinkpoz.org] Marc Mero’s “Make It Stop!” Tour addresses the issues of bullying, suicide prevention, substance abuse, goal setting, dreaming big, making positive choices and achieving your highest potential. 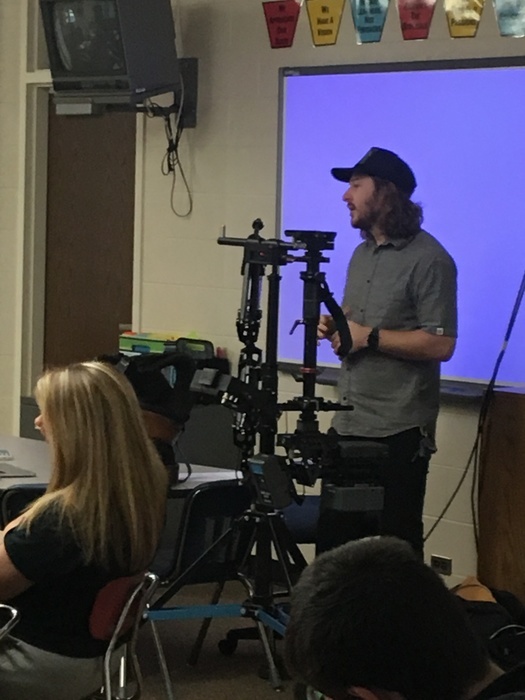 A former WWC and WWE Wrestling Champion, Marc has an extraordinary ability to connect with students and people of all ages and walks of life. 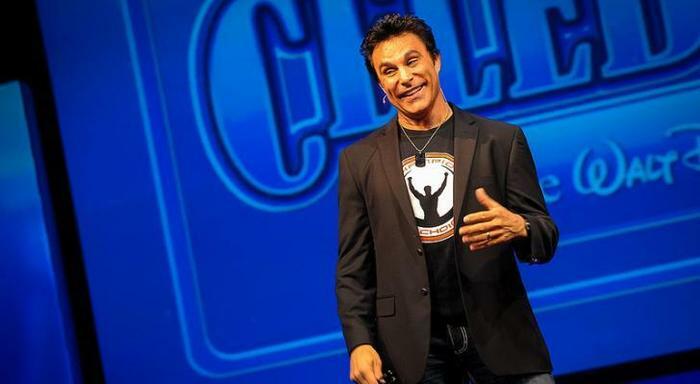 For more information about Marc Mero and Champion of Choices, please visit https://thinkpoz.org. HHS basketball @ Jeff West tonight. 4:30 JV Boys-Main Gym 4:30 JV Girls- Middle School 6:00 V Girls- Main Gym 6:00 Freshmen/C Boys-Middle School 7:30 V Boys-Main Gym 7:30 Freshmen/C Girls (Only 2 quarters) -Middle School Go Red Hawks! 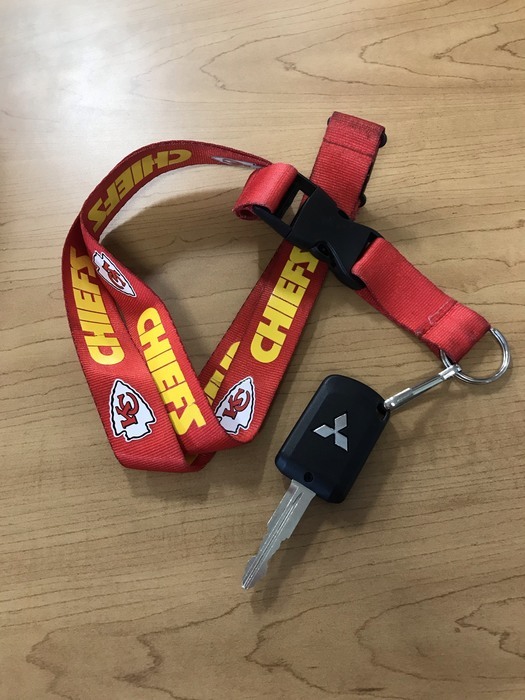 Key found at Hiawatha Elementary School!! 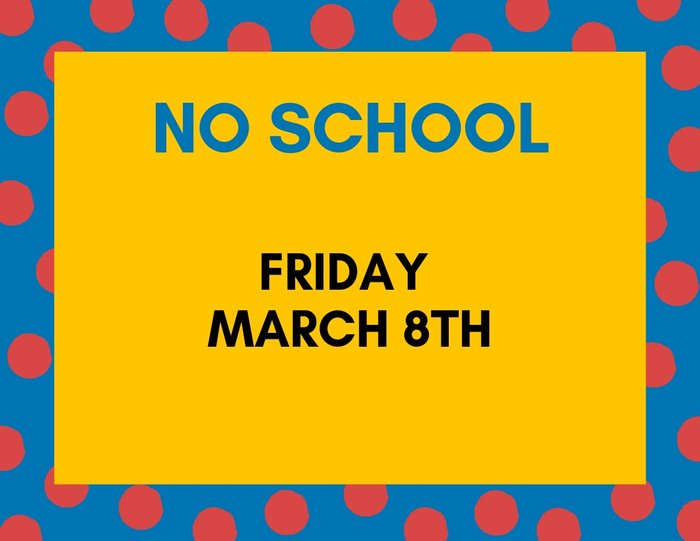 To claim call (785) 742-2266 or stop by the Board of Education Office 706 S 1st St. The Remarkable Red Hawk program recognizes students, staff, and teachers who demonstrate excellence in a number of ways. We would like to congratulate November’s recipient – Mrs. Lisa Twombly! She received a gift certificate sponsored by GN Bank and a certificate of excellence. Congratulations, Mrs. Twombly!! 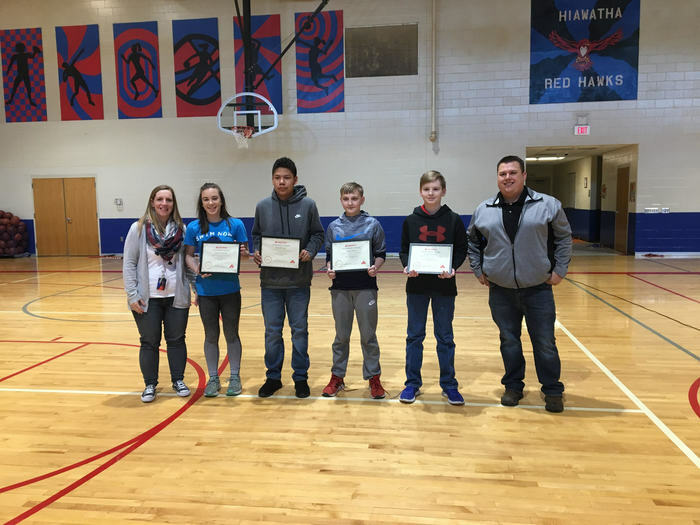 Congratulations to the HMS Remarkable Red Hawks for November! The Remarkable Red Hawk program recognizes students, staff, and teachers who demonstrate excellence in a number of ways at HMS. 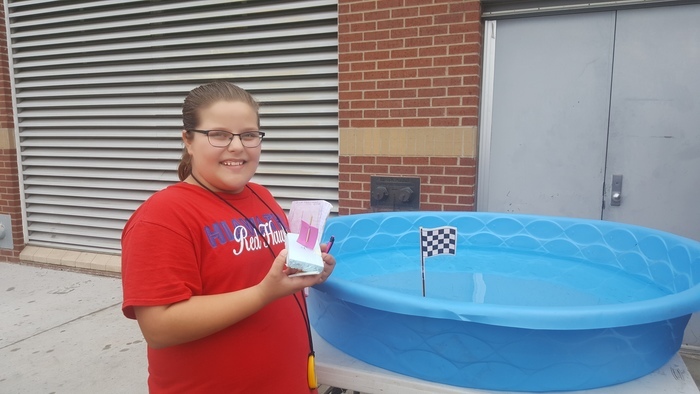 At the end of each month, one student from the fifth and sixth grades and one student from the seventh and eighth grades are randomly selected from all nominations during that month from students, teachers, and staff. Awardees receive a gift card sponsored by Citizens State Bank & Trust and Morrill & Janes Bank, a certificate of excellence, and a Remarkable Red Hawk t-shirt. We are SO proud of all our Remarkable Red Hawk nominees! Their many accomplishments and achievements do not go unnoticed! HMS art students are working with plaster casting today! The Brown County Sheriffs Department made a special trip to HMS yesterday and presented one of our students an award for their quick thinking and bravery. We are SO PROUD of our students! Congratulations, young man!! HMS is proud to announce the November recipients of the State Farm Citizenship Award, sponsored by State Farm Insurance- Ryan Meininger. Nominated by middle school instructors, one student from each grade level is selected. These students have demonstrated exceptional characteristics of respect, responsibility, manners, and thoughtfulness. They are recognized for great citizenship both in and out of school. We are very proud of them. Congratulations to all!! HHS Basketball at Nemaha Central Tuesday 12/11. Games are as follows: Main Gym: 4:30--JV Girls 6:00-Varsity Girls 7:30-Varsity Boys Secondary Gym: 4:30--JV Boys C/Freshmen Boys C/Freshmen Girls #HHSRedHawks Go Red Hawks! 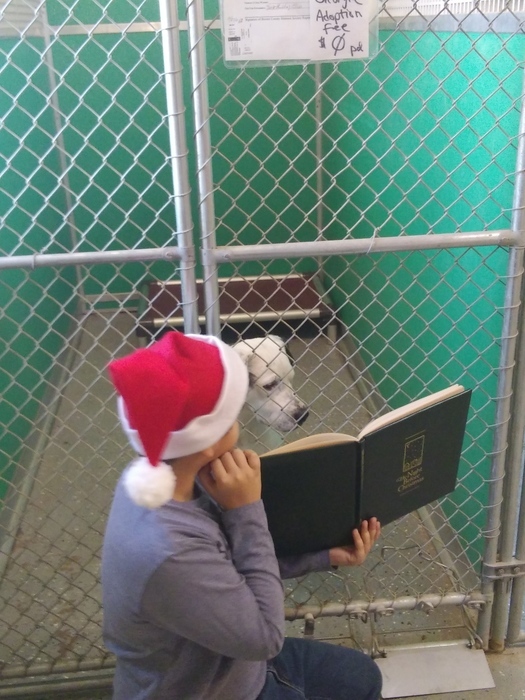 HMS students love to read; and the Brown County Humane Society pups love the stories and the visitors! As the new basketball season gets underway, our Red Hawks are coming out on top. The varsity girls currently have a record of 1-1, having won against Troy this Tuesday but falling to Effingham the previous week. The varsity boys current record is 2-0. Come watch the Red Hawks tear up the court this Friday for their first home game of the season against the Perry-Lecompton Kaws! Vocal students will be holding their annual winter concert tonight at 7 p.m. The music won't end there, though. HHS band students will be holding their own biannual concert this Thursday, Dec. 6th, at 7 p.m. Be sure to come out in support of the musicians of Hiawatha High! 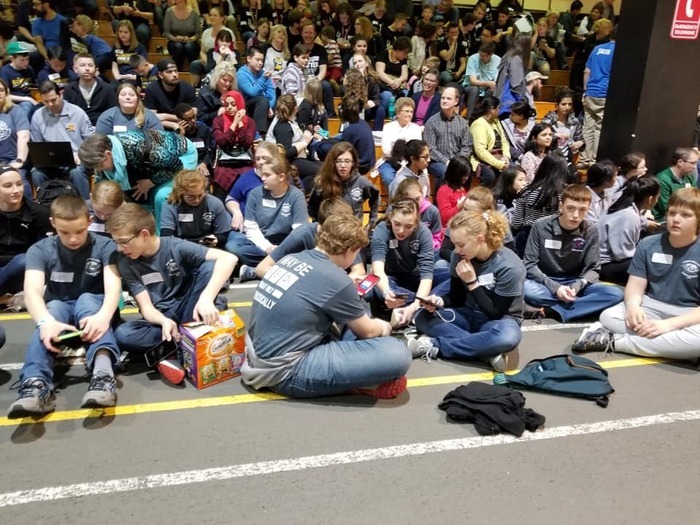 Hiawatha High School is among the nation’s 250 state finalists in the Samsung Solve for Tomorrow Contest – a nationwide competition challenging students in grades 6-12 to apply STEM skills to find creative solutions to real-world issues impacting their local communities. 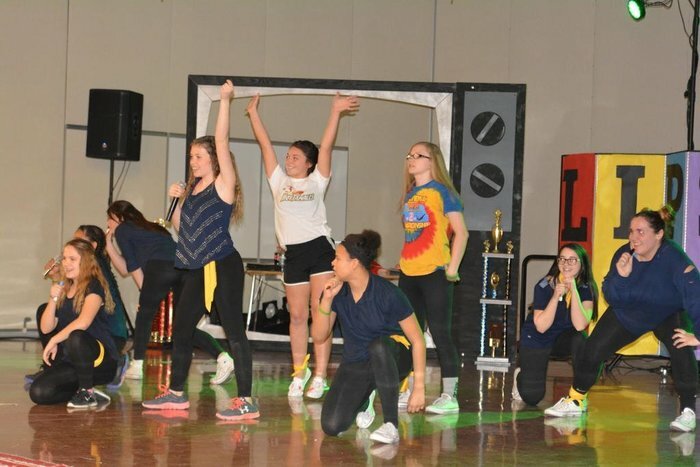 The yearly Student Council-sponsored HMS Lip Sync Battle will be held this Friday during Activity Period in the Gym! Guests/family are welcome to attend - come about 2:45pm! 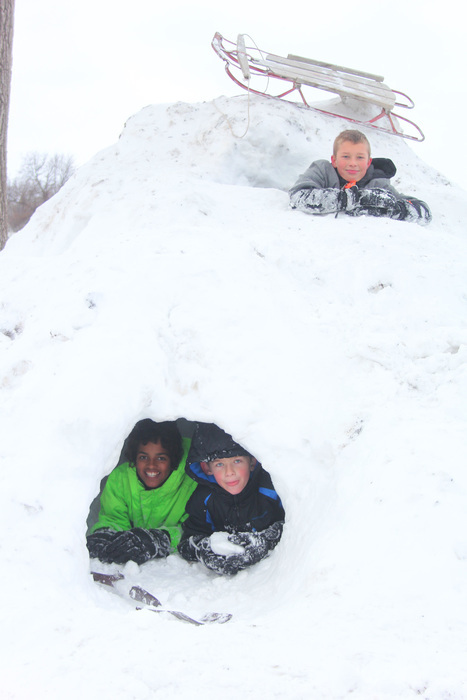 Students enjoying all the Snow! 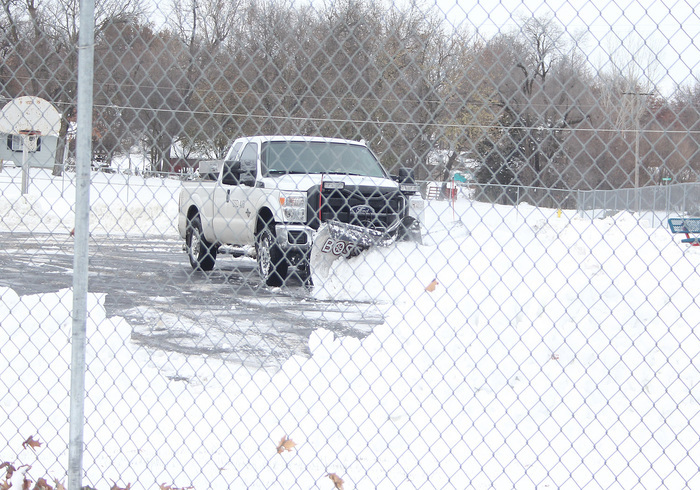 Thank You to Hiawatha USD 415 Maintenance staff who worked hard removing all the snow! 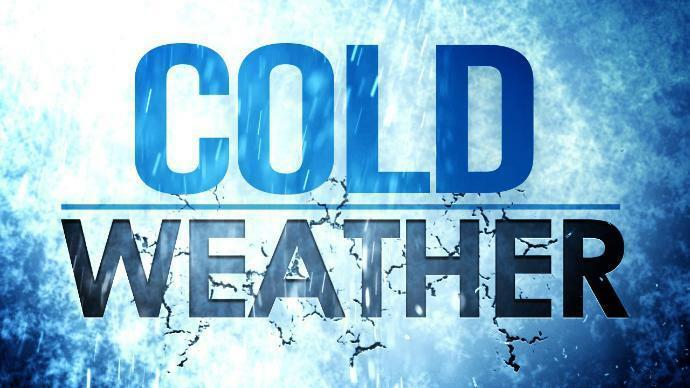 DUE TO THE WEATHER, HIAWATHA USD 415 WILL NOT BE HOLDING CLASSES ON MONDAY, NOVEMBER 26TH. 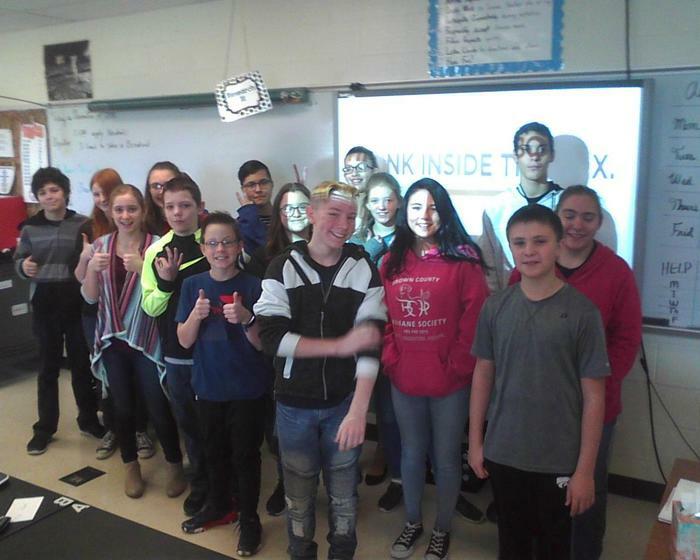 HMS seventh grade students pose after a successful "break out" session. 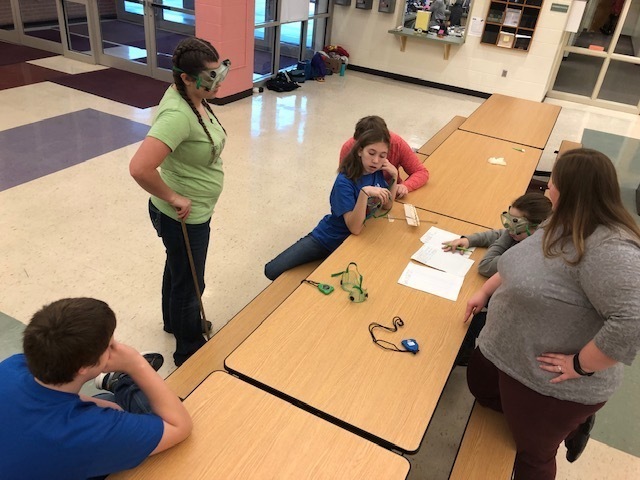 Students collaborated to find clues and solve puzzles during an immersive learning game experience known as 'BreakOut EDU'. Fun times!! HMS seventh graders assembled table favors for the Hiawatha Community Thanksgiving Dinner. Happy Thanksgiving, Hiawatha! This Sunday the Daily Perk will be hosting a Coffee and Karaoke event! Come with your friends to have a wild time and to sing your heart out to whatever genre of music your heart desires. It starts at 5:00 pm and last till 7:30. The cost is two dollars to get in, but definitely the best two dollars you’ll ever spend. This Saturday is the KSHSAA game day spirt showcase. The competition will be held at the Expo center in Topeka. Come dressed in your best red and blue and support your local Red Hawk cheerleaders, starting at 9:00 am with an entry fee of $15. 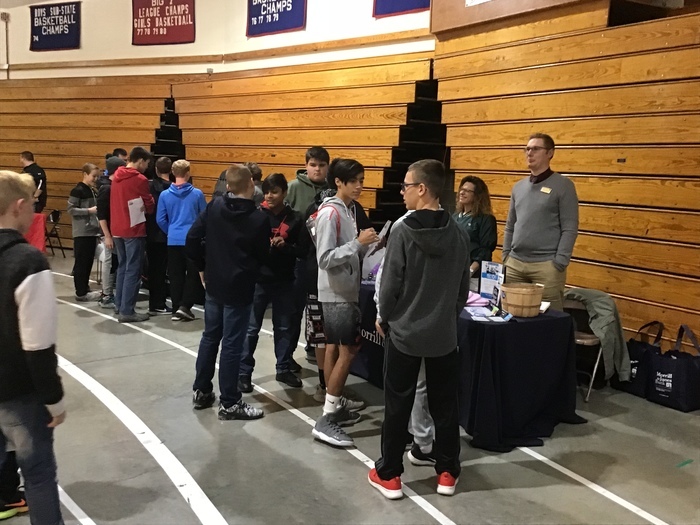 The high school invited our seventh and eighth graders to their Career Expo on Wednesday morning where they had the opportunity to visit with a wide variety of community business professionals. 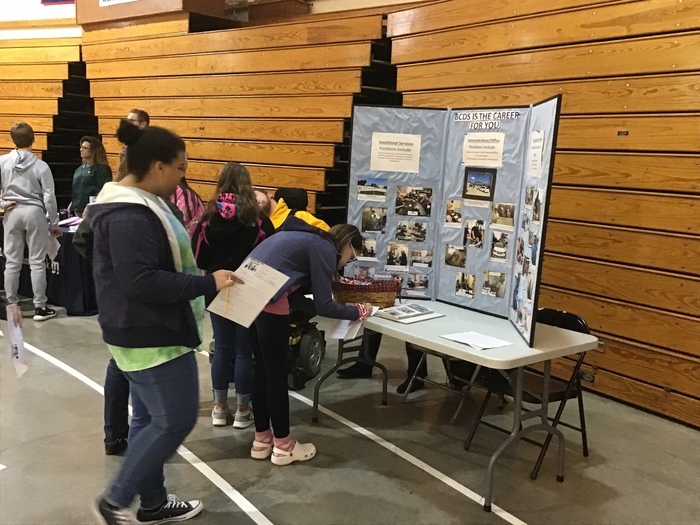 In the afternoon, the middle school hosted their own Career Fair! There, our students attended three small-group presentations in the vocational areas that most interested them. Huge thanks to all the community members who shared their time and talents with our students!! (We apologize for not having a picture of Stacy Jasper, the Hiawatha Parks & Recreation Director. Mrs. Krauter was paying too much attention to snap a photo, she said. ) 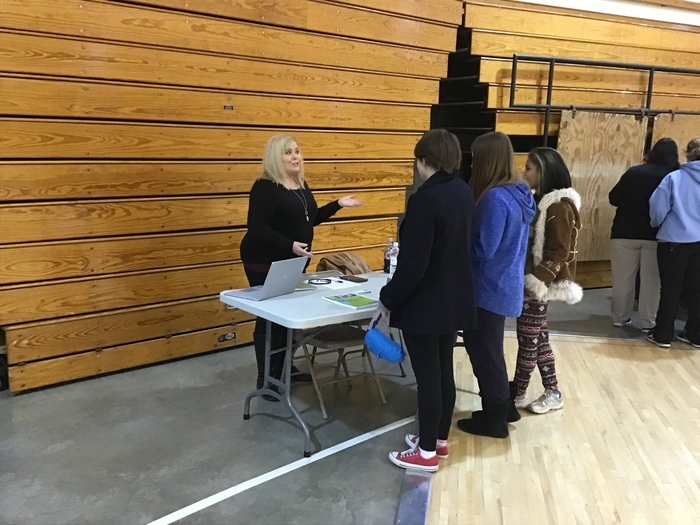 :) Special thanks goes to high school Counselor Jenny Dunn and middle school Counselor Kim Krauter for coordinating the events. Thank you to all the presenters at the High School this morning for sharing your time and talents at the Career Expo. 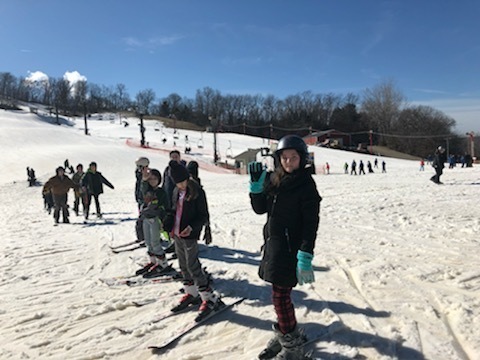 Our middle schoolers enjoyed being included!! HMS is proud to announce the October winners of the State Farm Citizenship Award, sponsored by State Farm Insurance- Ryan Meininger. Nominated by middle school instructors, one student from each grade level is selected. These students have demonstrated exceptional characteristics of respect, responsibility, manners, and thoughtfulness. They are recognized for great citizenship both in and out of school. We are very proud of them. Congratulations to all!! 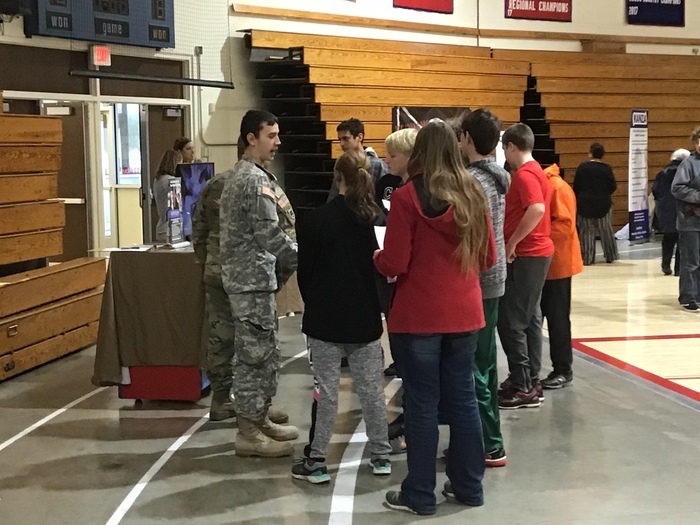 In honor of Veteran's Day, HMS Student Council members invited students to fill out hearts and stars naming veterans and current military personnel they are either related to, or know. STUCO members put them on our entry wall, creating a flag. 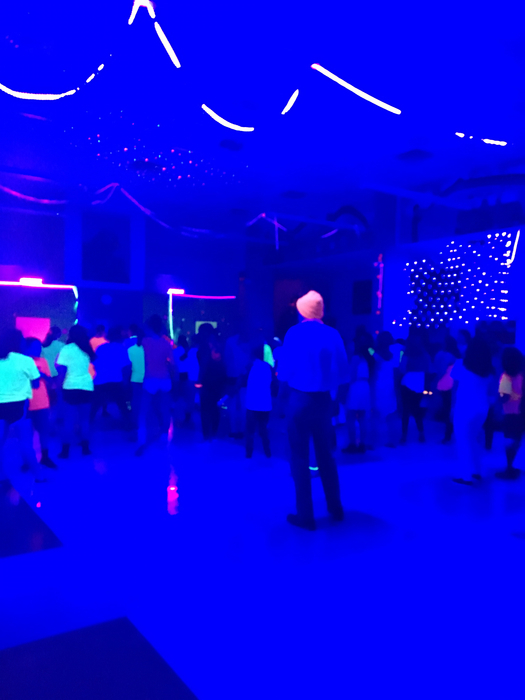 HMS Grades 7 and 8 Fall Harvest Dance is this Friday November 16th from 7-8:30pm in the Commons!! Admission is $2.00. 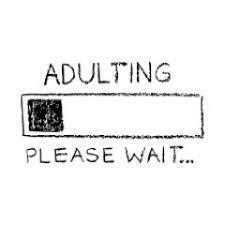 Parents are asked to pick up their students promptly at 8:30pm. Thank you! 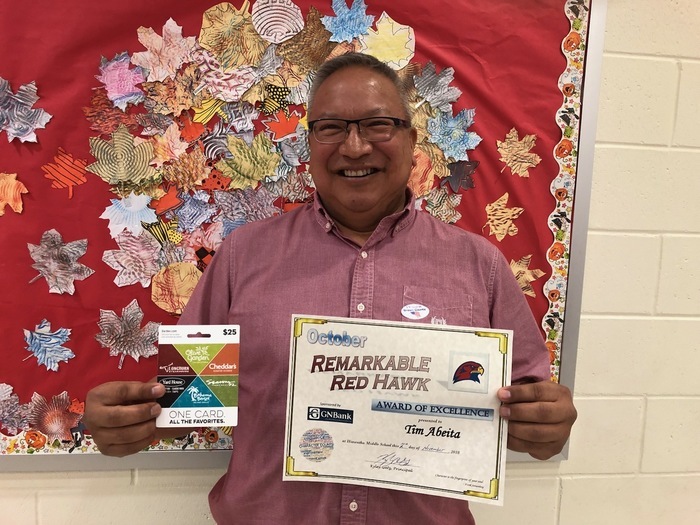 The Remarkable Red Hawk program recognizes students, staff, and teachers who demonstrate excellence in a number of ways. We would like to congratulate October's recipient - Mr. Tim Abeita! He received a gift certificate sponsored by GN Bank and a certificate of excellence!! Congratulations to the HMS Remarkable Red Hawks for October! The Remarkable Red Hawk program recognizes students, staff, and teachers who demonstrate excellence in a number of ways at HMS. 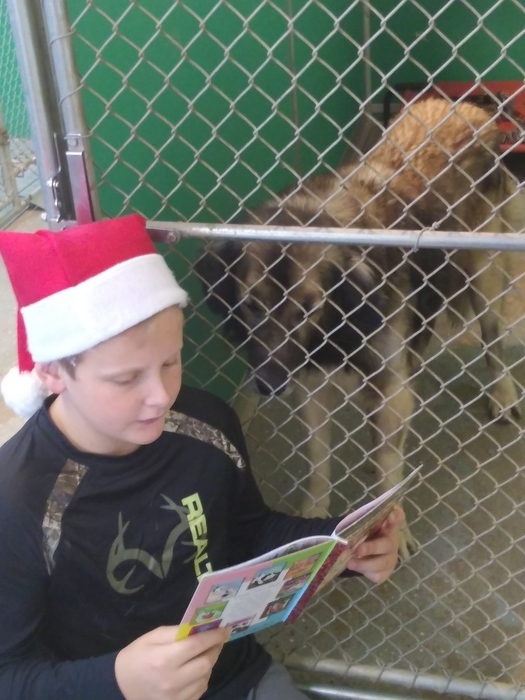 At the end of each month, one student from the fifth and sixth grades and one student from the seventh and eighth grades are randomly selected from all nominations during that month from students, teachers, and staff. Awardees receive a gift card sponsored by Citizens State Bank & Trust and Morrill & Janes Bank, a certificate of excellence, and a Remarkable Red Hawk t-shirt. We are SO proud of all our Remarkable Red Hawk nominees! Their many accomplishments and achievements do not go unnoticed! Yesterday, November 7th, HHS students and staff 16 and older participated in a bi-annual blood drive from 9am until 2pm. 60 Red Hawks signed up for the drive and HHS donated 45 units of blood by the end of the day! The annual career day will be held on the 14, next Thursday in the auditorium at the high school. There will be over twenty guest speaking in different classrooms, so dress sharp and take notes! Today at Hiawatha High School, Red Hawks will be celebrating our communities' veterans at our school's annual Veterans Day assembly. The Veterans Day assembly will start at 2:45 last until the end of the school day. 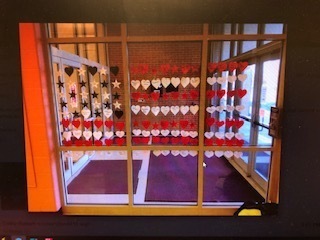 On behalf of our school, I would like to thank our veterans! November 5-9 is buffer week at HHS for sports players. Enjoy a relaxing week without sports practices Hawks! Winter sports practices will begin on November 12th for the boys and girls basketball teams. 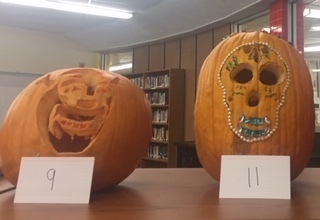 On October 29, 15 advisories carved pumpkins for a contest sponsored by the high schools KAYS club. Participants had from Monday to Thursday this week to carve. Today pumpkins will be judged by the cooks and our school custodian. 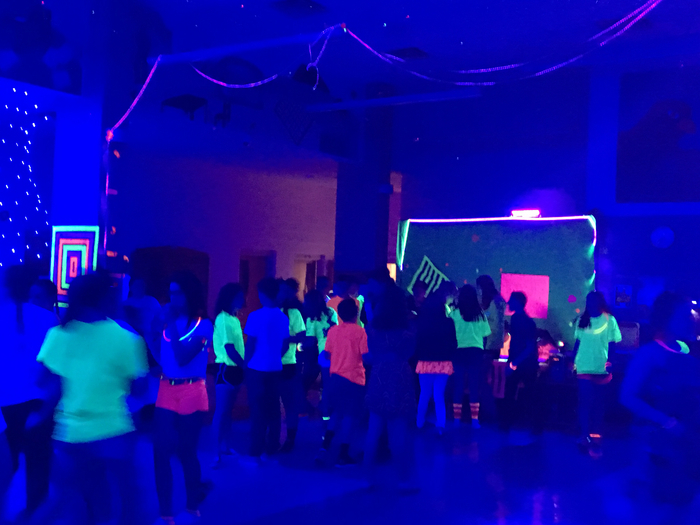 This Friday get ready to get your boogie on and dance the night away at the Hiawatha High Freakers Ball. There's no trick or treating but come dressed in your best funny, spine-chilling, or cutest costume for a chance to win one of the themes for the costume contest! 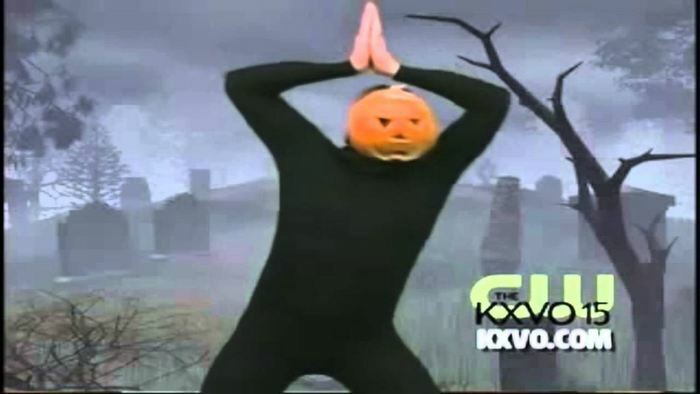 So be prepared for a night filled with spooky people and don't forget to check your emails to request song suggestions! 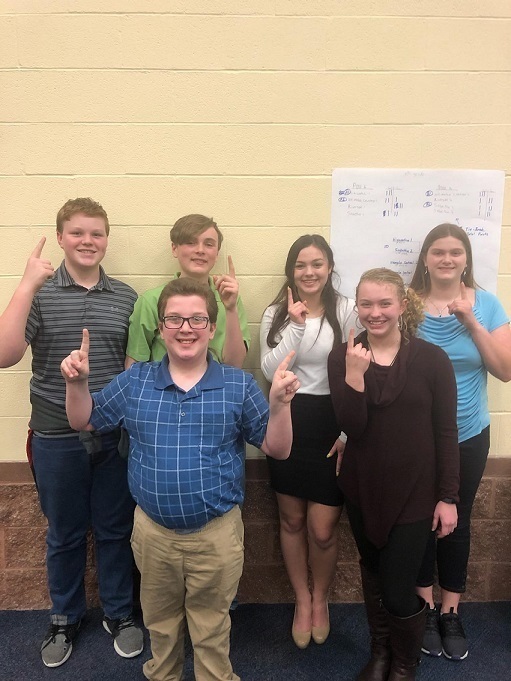 HHS Scholars Bowl Team placed second at Nemaha Central last night in varsity scholars bowl competition. Congratulations Scholars Bowl!! Tonight, the 26th of October, your Hiawatha varsity football team goes head to head with Bishop-Ward High School in their last football game of the season. Wish them luck as your local Red Hawks take on the Bishop-Ward Cyclones tonight at 6:45. Congratulations to the HHS cross country team for their success at Regionals! The girls and boys teams both placed second, earning them their spot at the state championship held at Rim Rock next Saturday. Individual medalists include Elizabeth Kettler, 2nd; Mary Rosa, 3rd; Kate Madsen, 4th; and Justin Hodge, 2nd. HHS astronomy club had a star party! 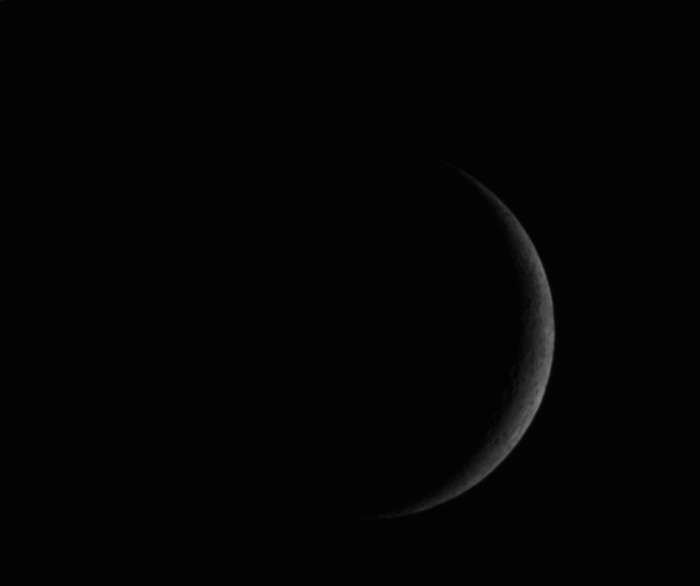 They were able to image the moon. 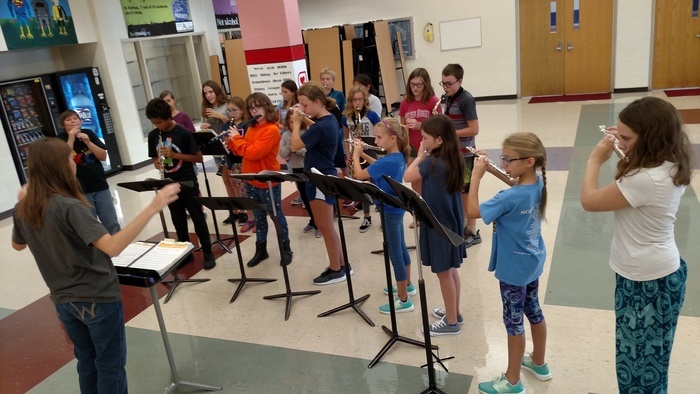 Congratulations to the HMS Remarkable Red Hawks for September! The Remarkable Red Hawk program recognizes students, staff, and teachers who demonstrate excellence in a number of ways at HMS. 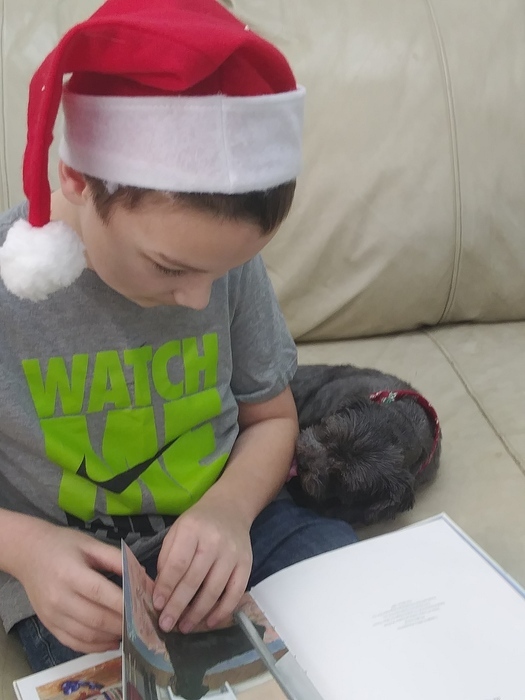 At the end of each month, one student from the fifth and sixth grades and one student from the seventh and eighth grades are randomly selected from all nominations during that month from students, teachers, and staff. Awardees receive a gift card sponsored by Citizens State Bank & Trust and Morrill & Janes Bank, a certificate of excellence, and a Remarkable Red Hawk t-shirt. We are SO proud of all our Remarkable Red Hawk nominees! Their many accomplishments and achievements do not go unnoticed! The HMS Remarkable Red Hawk program recognizes students, staff, and teachers who demonstrate excellence in a number of ways at HMS. 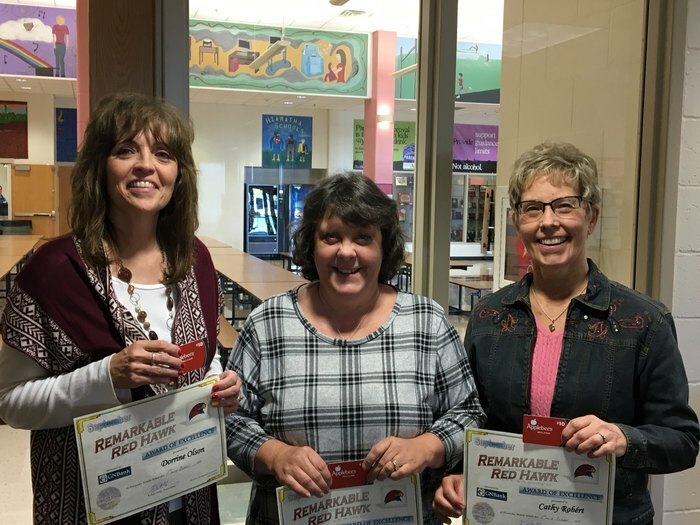 We would like to congratulate September’s recipients – our Office ladies: Mrs. Dorrine Olson, Mrs. JoLynn Siebenmorgen, and Mrs. Cathy Robért! They each received a gift sponsored by the Girard National Bank and a certificate of excellence. 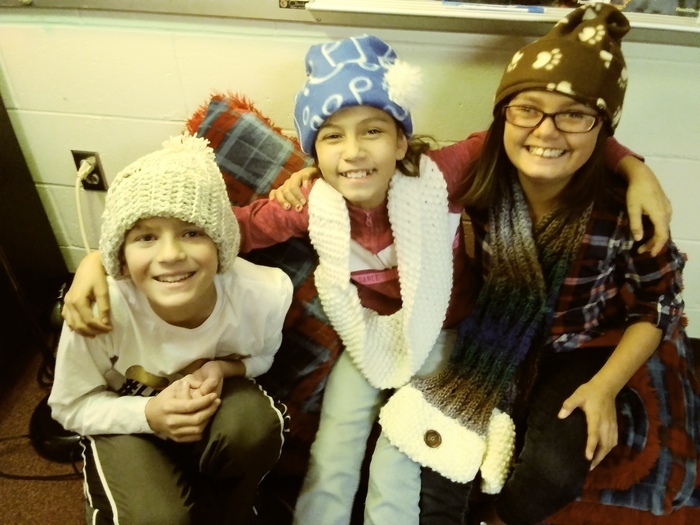 Mrs. Pat Hummel and her friend Barb Decker (both from Springfield, MO) have been busy crocheting hats and scarves for Mrs. Michelle Vitt's students! 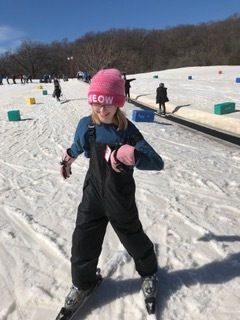 Mrs. Hummel, a native of Canada, knows how to beat the cold weather! She has been making hats and scarves for HMS students for years. Our thanks to these wonderful ladies for their time and their beautiful work! Notes from Middle School: Parent/Teacher Conferences are Wednesday from 4-8pm and Thursday from 4-7:30pm in our Gym. Please come see us!! 5th Grade teachers sent appointment notes home with their students with scheduled times. Grade 6, 7, and 8 teachers are available on a come-and-go basis. Into. 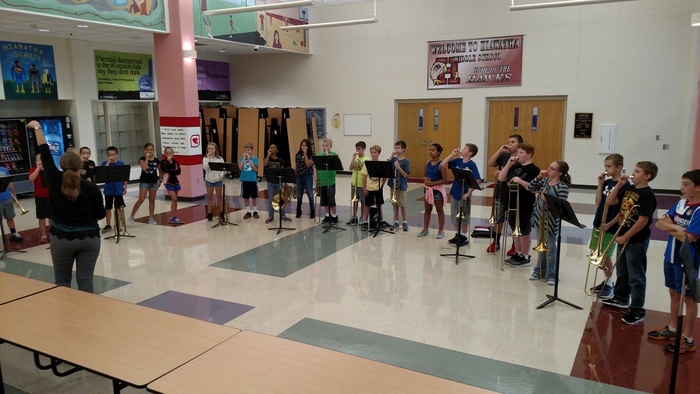 to Tech, Vocal Music, and Band instructors will be at HMS on Wednesday. HMS Student Council is sponsoring a 5th/6th Grade Movie Night on Friday October 26th in the HMS Commons!! 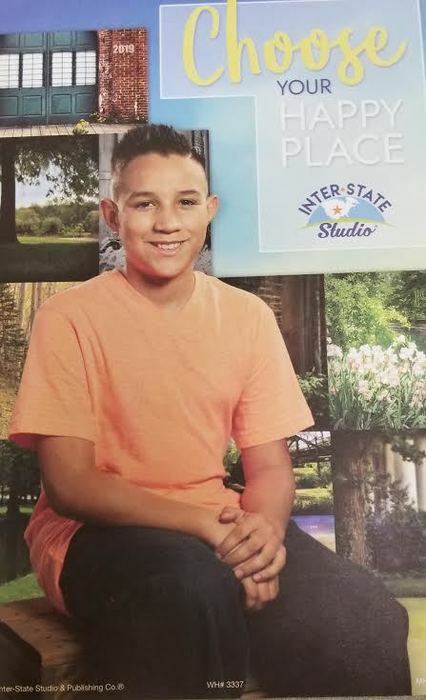 HMS is proud to kick off 'Kindness Week' by announcing the September winners of the State Farm Citizenship Award, sponsored by State Farm Insurance- Ryan Meininger. Nominated by middle school instructors, one student from each grade level is selected. These students have demonstrated exceptional characteristics of respect, responsibility, manners, and thoughtfulness. They are recognized for great citizenship both in and out of school. We are very proud of them. Congratulations to all!! 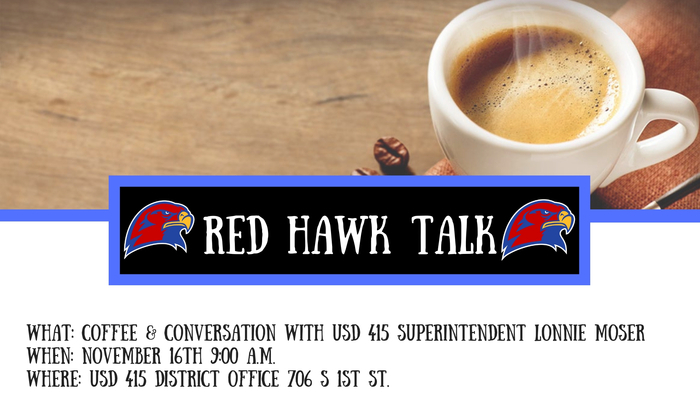 Join Superintendent Lonnie Moser for Coffee and Conversation. 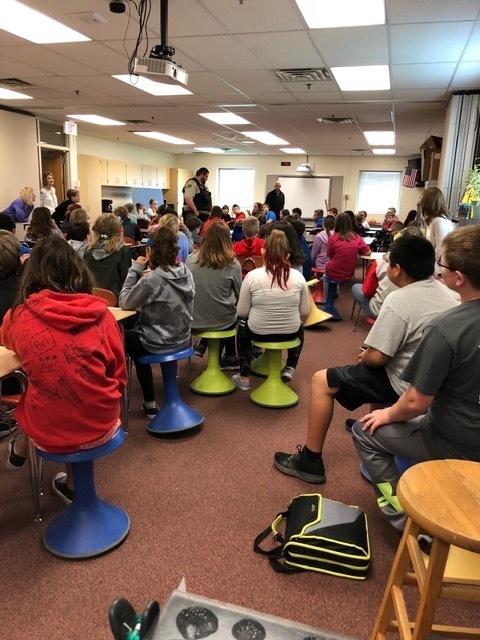 Over the last two days, students from Hiawatha Middle School have engaged in ALICE training facilitated by the Hiawatha Police Department. We encourage you to have a conversation with your child about the training and discuss any questions you may have. Thanks for your support! 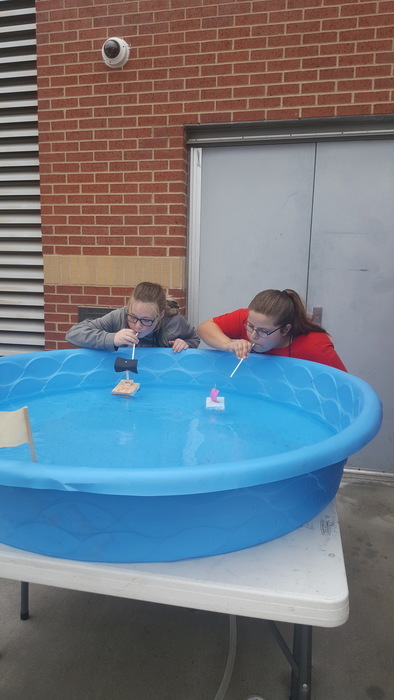 Mr. Aller's seventh grade science classes created 'trash' boats from miscellaneous materials. 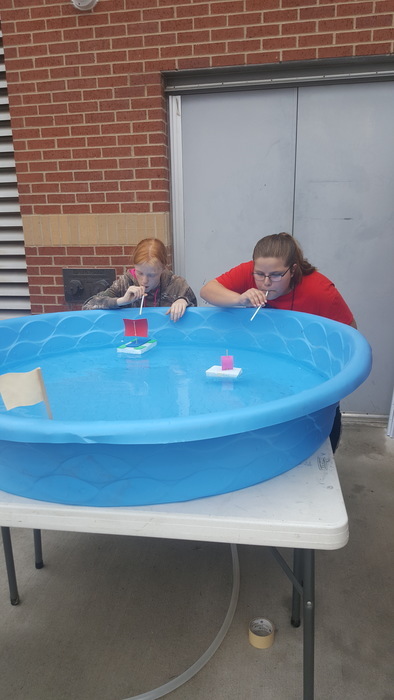 Their task was to make a determination if their boat's density would allow them to float. The force of wind was used to propel their boats; this is a segue into their study of forces and motion. The race is ON! First day of girls basketball practice at HMS is tomorrow after school!! The parent/coach meeting will begin at 5:45 after practice. HMS Cross Country runners - please remember to turn in your uniforms tomorrow (Oct. 2nd) to Coach Williams. The girls basketball players will need them - their practice starts tomorrow! Thank you, all! No middle school football practice today! 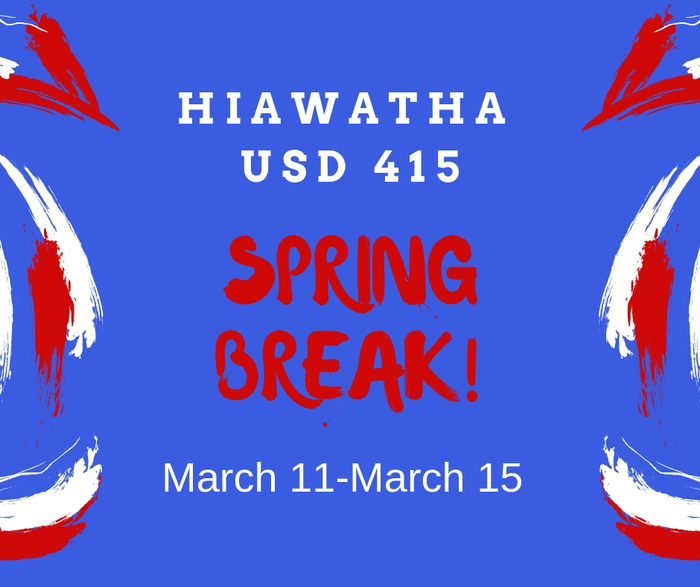 Hiawatha High School students are scheduled to get their student streams (laptops) this week. Students reviewed the technology usage policy yesterday. Parents are encouraged to review the policy with their students. 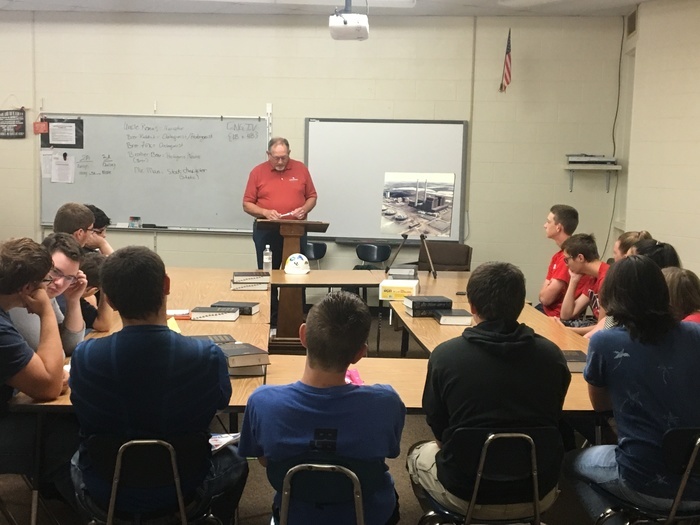 Students at HHS had the opportunity to hear from some Red Hawk alumni during our "You Can Go Anywhere From Here!" event. Big thank you to all alumni who chose to participate. The Remarkable Red Hawk program recognizes students, staff, and teachers who demonstrate excellence in a number of ways at HMS. We would like to congratulate August’s recipient, Mrs. Theresa Williams! 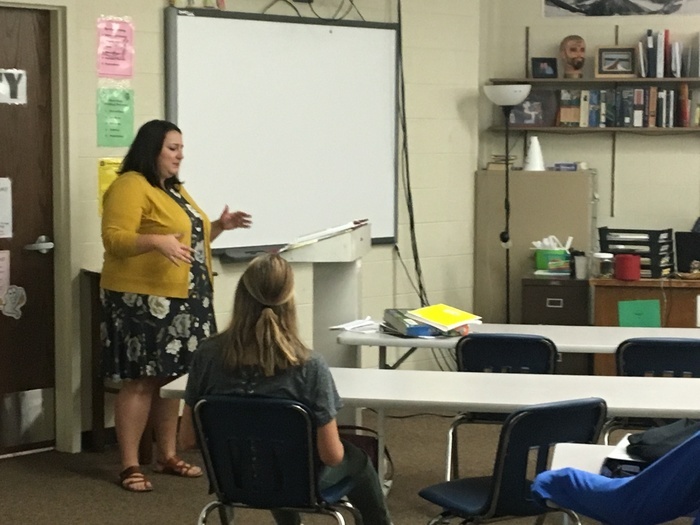 Mrs. Williams is a fifth grade science and ELA (English Language Arts) teacher. She is also our Cross Country coach! She received a $25.00 gift sponsored by the Girard National Bank and a certificate of excellence. Remarkable Red Hawks are randomly selected from a number of nominations by students, teachers, and staff. The Remarkable Red Hawk program recognizes students, staff, and teachers who demonstrate excellence in a number of ways at HMS. At the end of each month, one student from the fifth and sixth grades and one student from the seventh and eighth grades are randomly selected from all nominations during that month. Awardees receive a gift card sponsored by Citizens State Bank & Trust and Morrill & Janes Bank, a certificate of excellence, and a Remarkable Red Hawk t-shirt. We are SO proud of all our Remarkable Red Hawk nominees! Their many accomplishments and achievements do not go unnoticed! 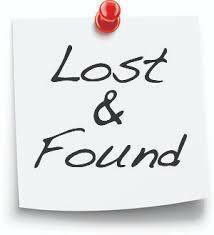 HMS Cross Country practice will end today (Thursday) at 4:45pm. The HMS Student Council is selling T-shirts for their fund raiser! 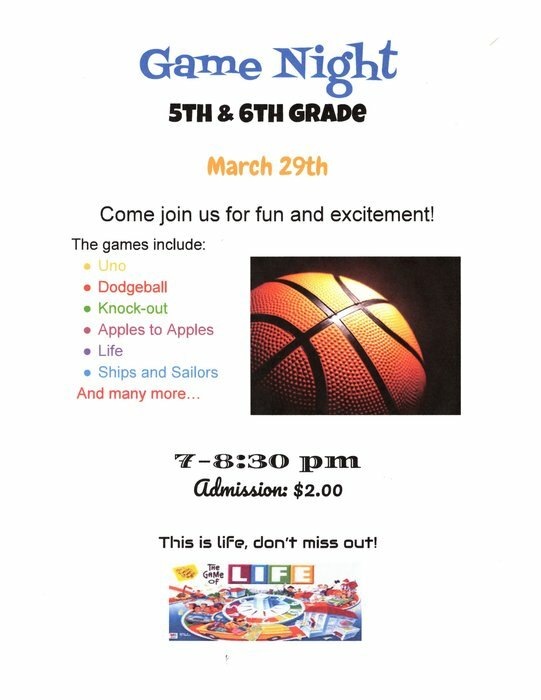 Proceeds go towards dances and other fun activities at HMS. Ask any STUCO member for an order form, and thank you for your support!! 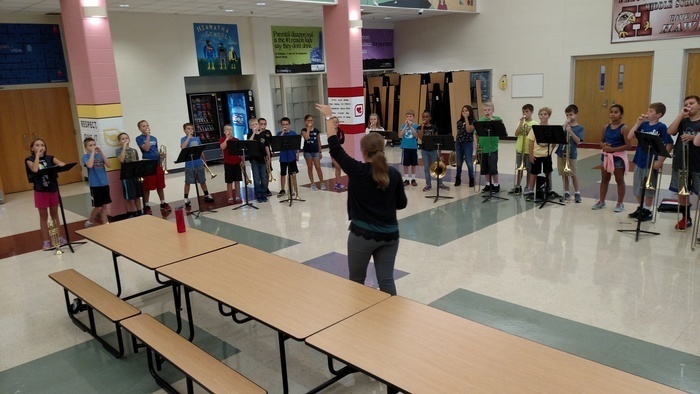 5th and 6th grade bands are enjoying a tuneful Tuesday! HHS Football season opener Friday @ 7:00 pm. Please be patient with our progress with on our new track! 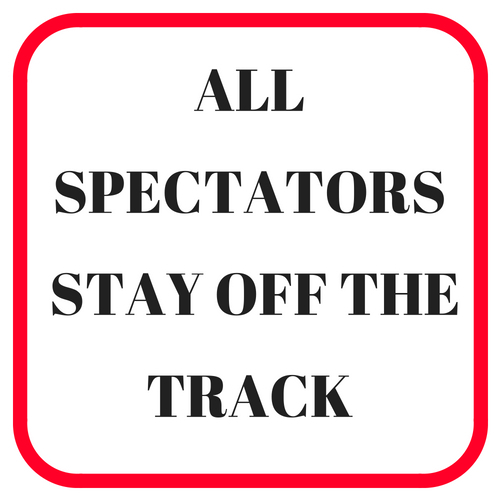 Due to the construction on the track, fans will not be able to walk or stand on the track. Thank you for your support of our schools and our student/athletes! HMS Cross Country practice will end today at 4:45pm due to lightning. HMS football practice is cancelled for today (Monday) due to the rain. Attention Middle school parents: ONLY BUSES will be parking on the street directly west of the school building (Morrill Ave.). Gr 7&8 will exit at the main doors. Gr 5 will exit the north entrance (by the Art Room). Gr 6 students will exit the east entrance (by the Library). Our new website www.hiawathaschools.org and mobile App are now available. 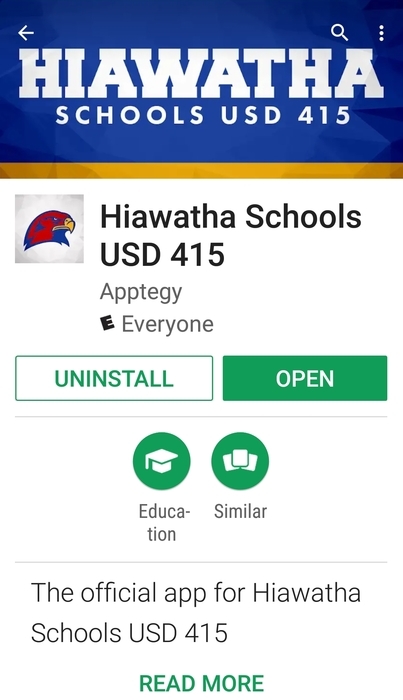 To access the new app search Hiawatha Schools USD 415. We have a new look!! Check out our new website and mobile app. We are very excited to team up with Apptegy to bring you a more modern looking, user friendly site.